We have been looking forward with gratefulness to celebrating the birth of Jesus this year. It has been an especially challenging year, as we continue to recover strength, wellness and stamina after Bill’s accident with the tree, ladder and chainsaw on November 7th 2017. Even though the time required can be discouraging, we rejoice in your prayers for us with a dependence in God’s blessing and His sovereignty, and assurance of His love. 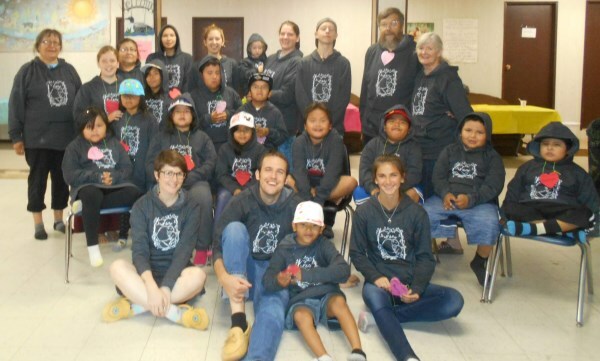 We wanted to remind you all of how God continues to lead us in our work in Canada: As you know, it’s been more than 30 years now since we first moved to Canada to work with the Naskapi community at Kawawachikamach in Northern Quebec. 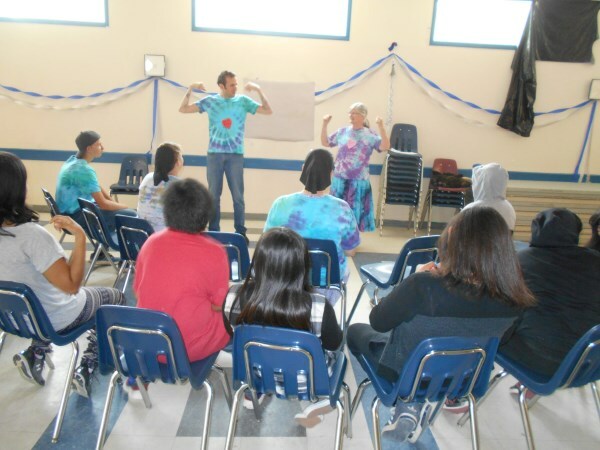 We raised our family there and we both served the community as a linguist and as a teacher. We worked alongside community members in language development, literacy, and Bible translation. 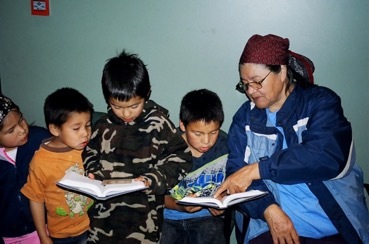 It was 11 years ago this year that we helped their team to complete the Naskapi New Testament. 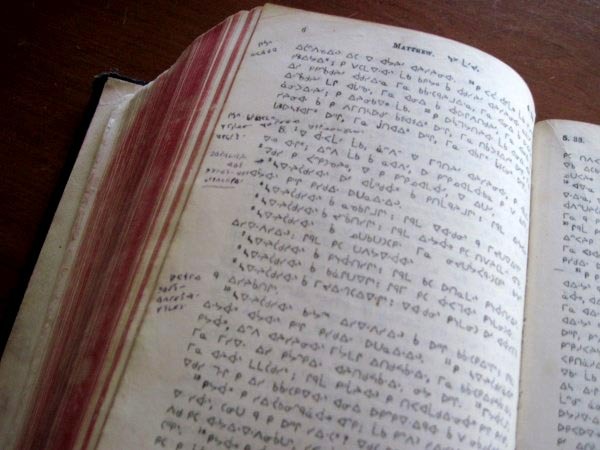 God continues to speak through His Word to the Naskapi community, and their hunger for more scripture in their language continues to grow, along with their own capacity to accomplish the ongoing work on the Old Testament themselves. 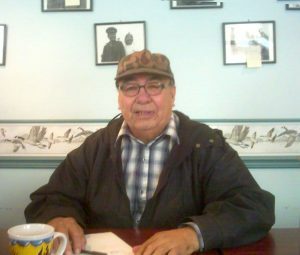 Moreover, the Naskapi have inspired and motivated other First Nations communities that do not yet have scriptures in their own languages. 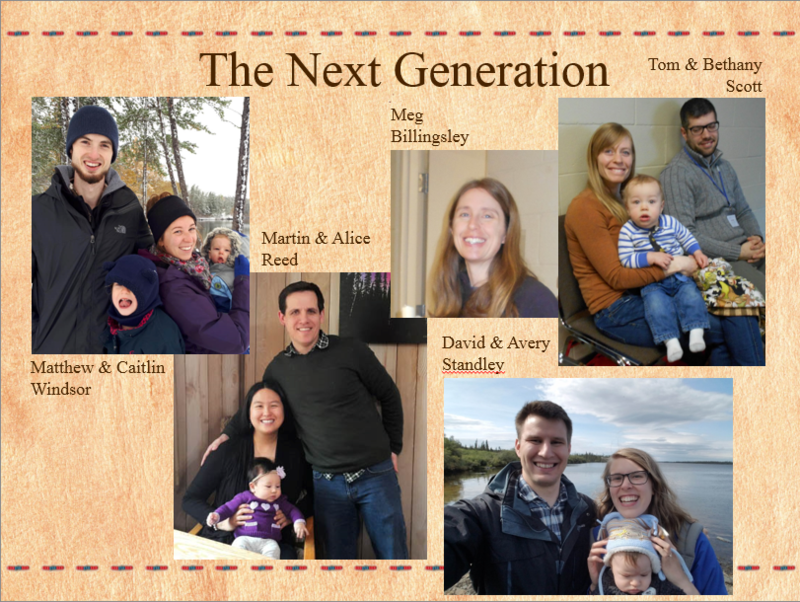 For the past 5 years, after much reflection and prayer, our vision that God would multiply His work by raising up a team of younger Bible Translation facilitators is being realized. 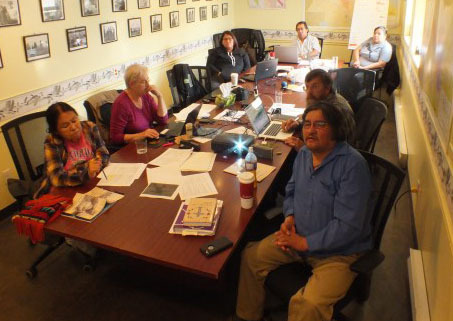 Two teams now serve as we have in several other communities, while increasing the number and capacity of First Nations translators themselves through mentoring and training workshops. 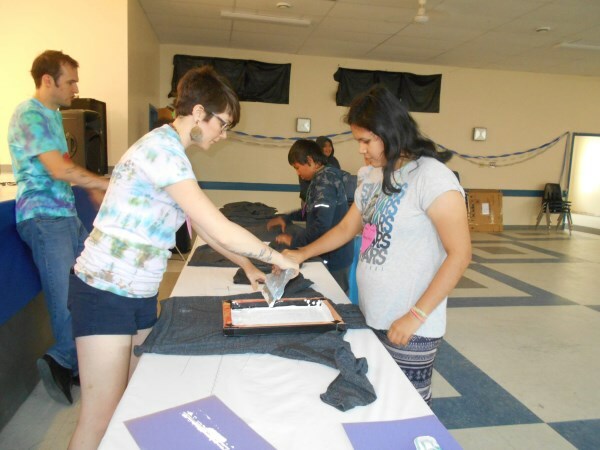 The Naskapi project has grown to become an important training location and inspiration for the new teams whom they have invited to serve internships there in Kawawachikamach. 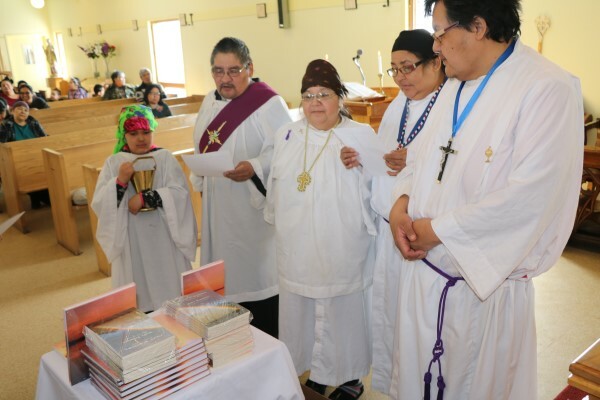 Meanwhile, God is also at work in other communities that speak closely related languages–in Oji-Cree in northern Ontario, Innu in Labrador, Plains Cree in Saskatchewan, and Swampy Cree in Manitoba–and our vision of seeing of several new Bible Translation and language development projects get started is becoming a reality. 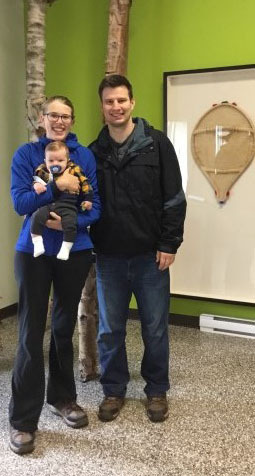 Matthew & Caitlin Windsor are now working full-time as language project facilitators with the Kingfisher Lake Oji-Cree community. 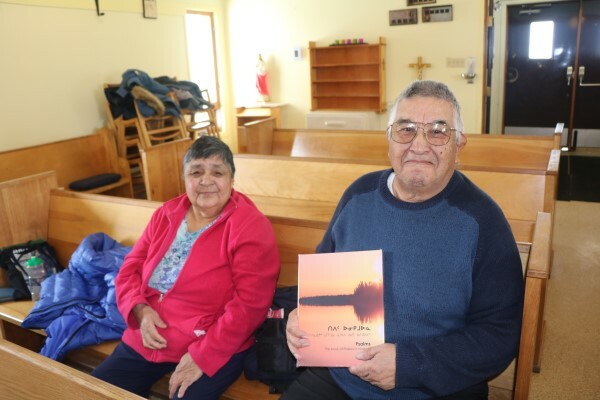 Alice & Martin Reed are now living and working among the Western Swampy Cree communities in Northern Manitoba. 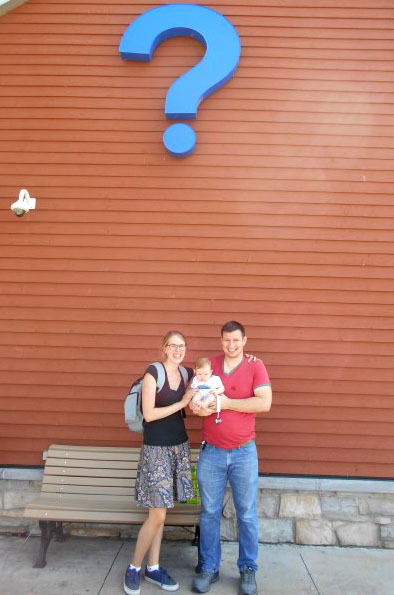 Tom & Bethany Scott have just completed their internship with the Oji-Cree translation team this fall, and David & Avery Standley have just joined Wycliffe Bible Translators in November, and are preparing for service in one of the communities still waiting for access to the Scriptures in their own language. Our continuing role is to mentor and support these new teams and projects. 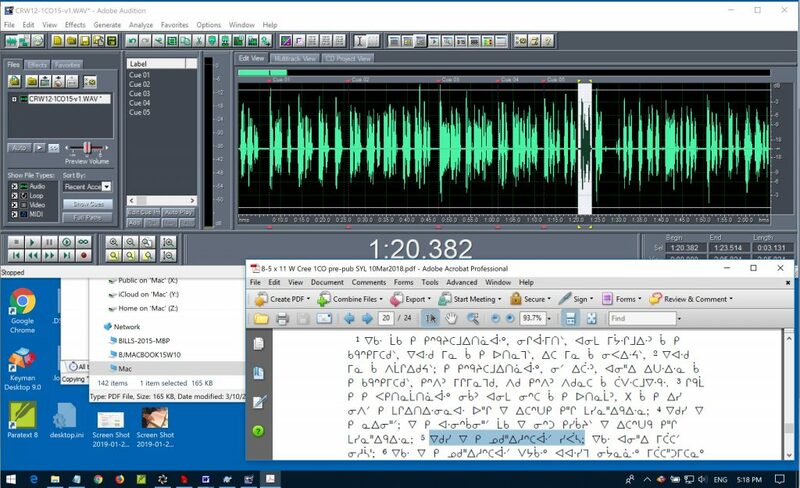 Bill’s accident and recovery period has shown us that these translation projects are in God’s hands, under His control, and not ours. 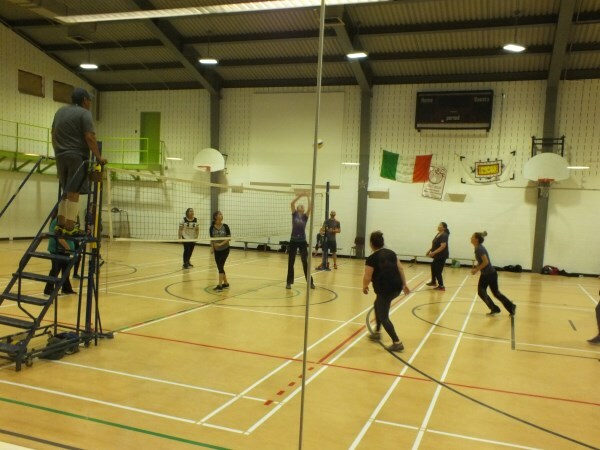 We actively support and guide the new teams using current communication technology, while the new teams begin to carry more of the on-site tasks, working in the local language communities. 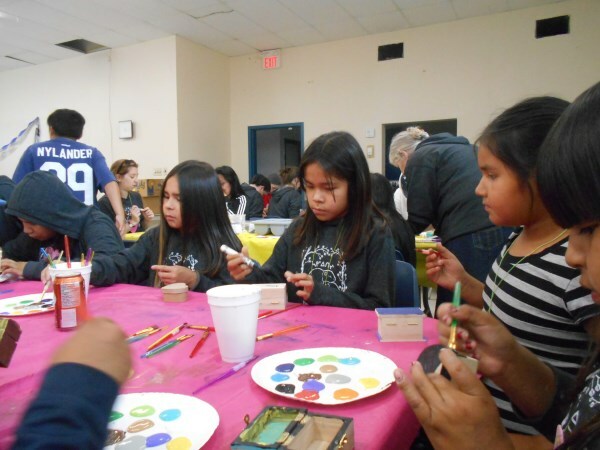 The Naskapi work also continues in Northern Quebec, which we still support at a significant level. 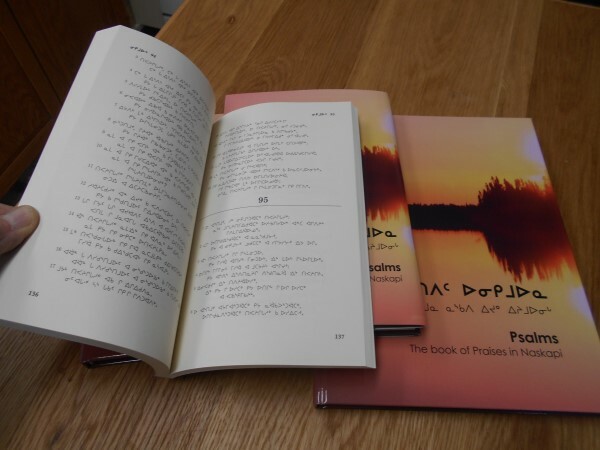 We are helping them with the final stages of typesetting and layout for the books of Exodus and Psalms in Naskapi. 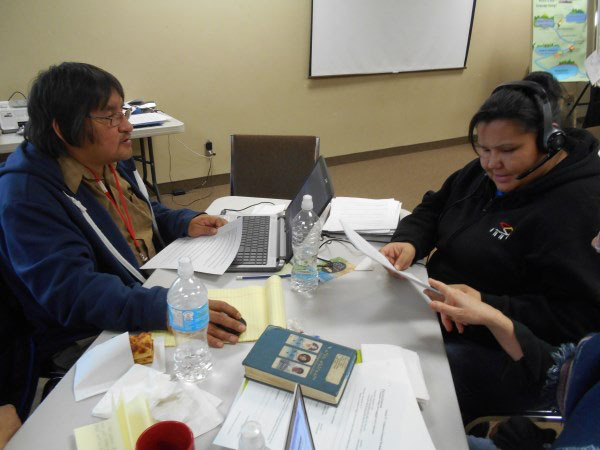 In addition, we are planning with our team members the next First Nations Translator training workshops in April 2019. We are grateful to God for our home here in southern Ontario. It is a place for the new teams to come for rest and renewal and also gives us time with them to discuss project goals and challenges. 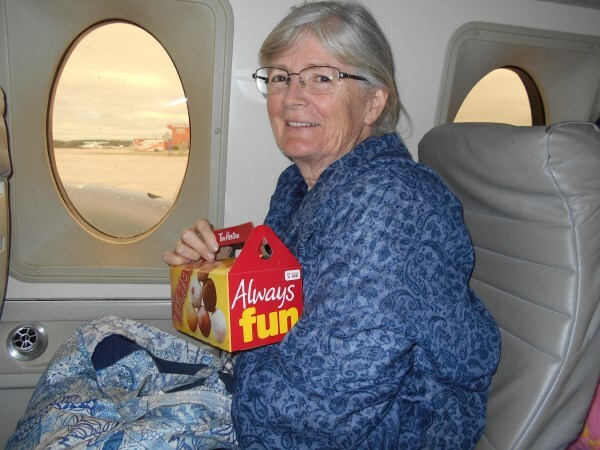 It also provides us a place from which we can travel to assist in the communities in the north. 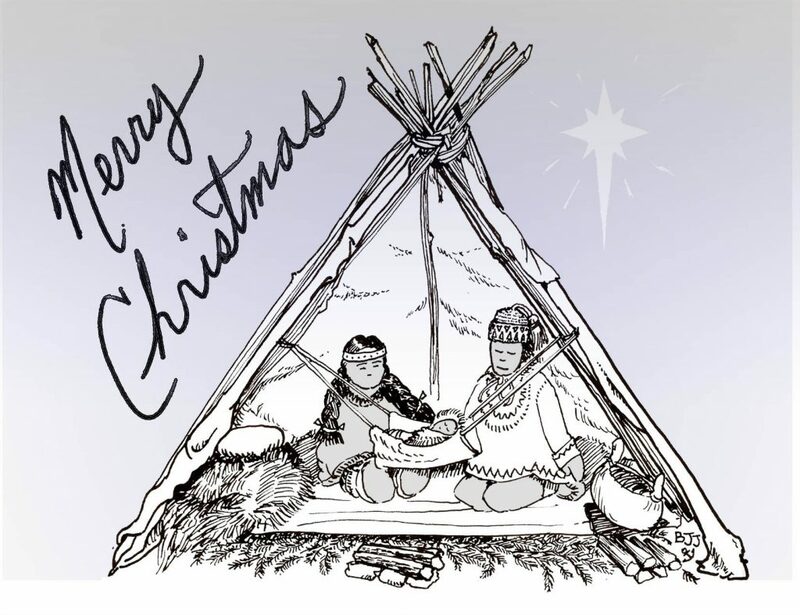 Thank you again for your continued care and prayers for us, for your interest in Bible Translation and reconciliation with our First Nations brothers and sisters. Thank you for your many gifts and reminders of your love and care for us in these days of restoration, recovery, and dependence upon God. 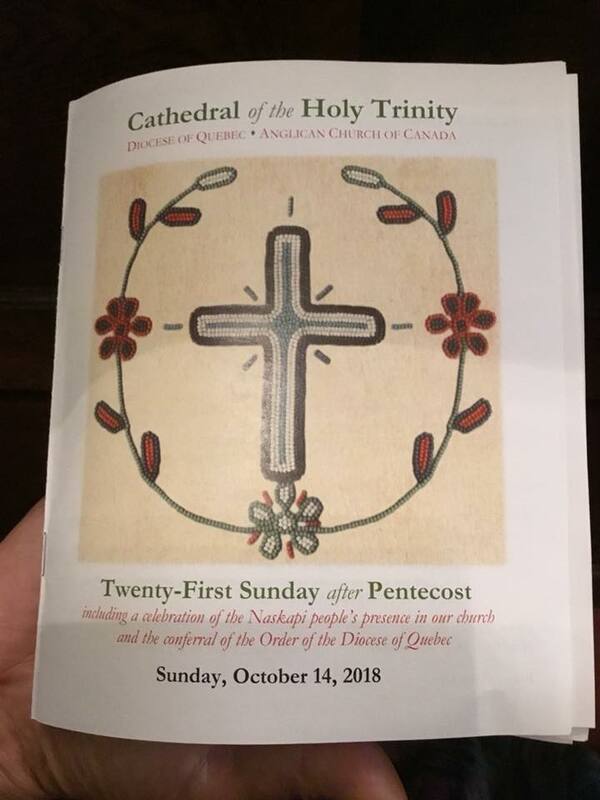 On Sunday, October 14th, a special service was held at the Cathedral of the Holy Trinity in Quebec City to honour and recognize the Naskapi speaking congregation at Kawawachikamach. 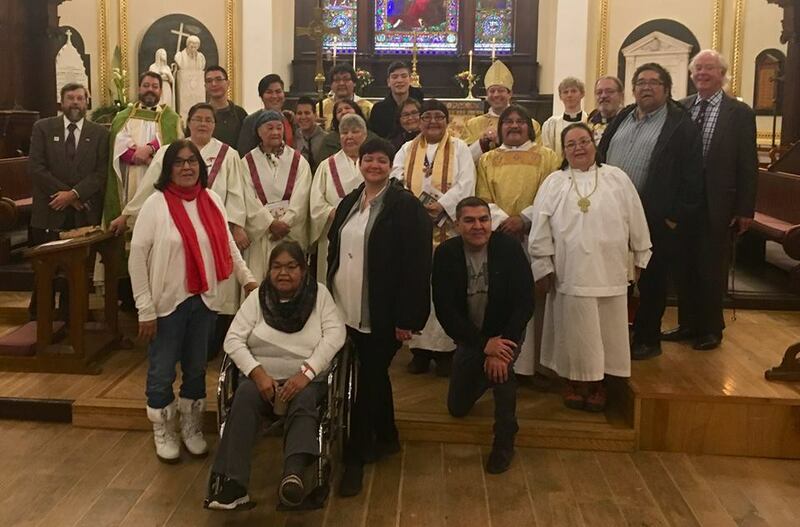 The Anglican Diocese of Quebec (of which the Naskapi parish is a member) presented a celebration to commemorate a change in the status of the Naskapi church. 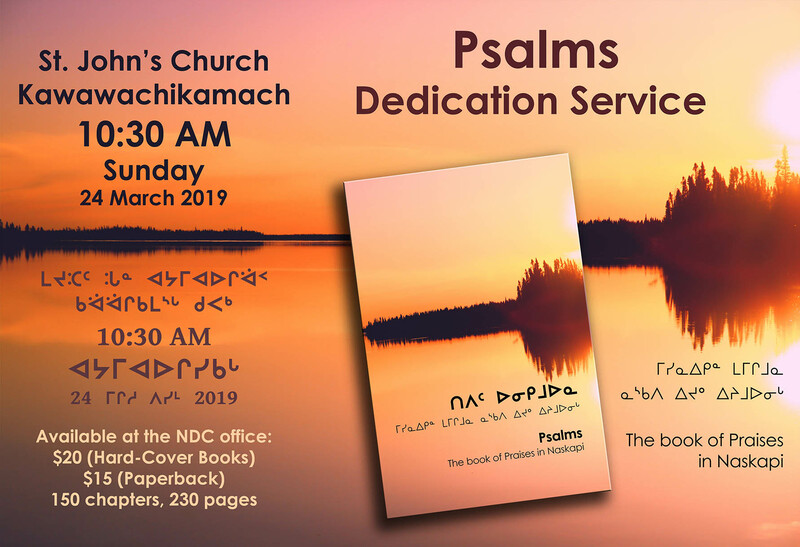 The Bishop (Bishop Bruce Myers) also extended his personal invitation to us so that we might present the story of Naskapi Bible Translation at that celebration. 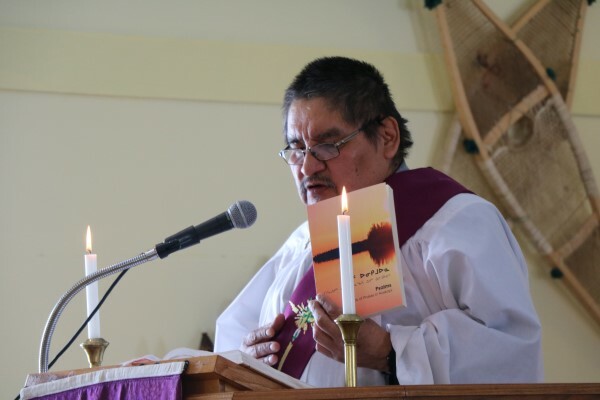 He said that this would help to raise awareness of the Bible translation project in the life of the diocese and to highlight the evident growth in the Naskapi church and lives of the Naskapi people because of receiving the Scriptures in their own language. 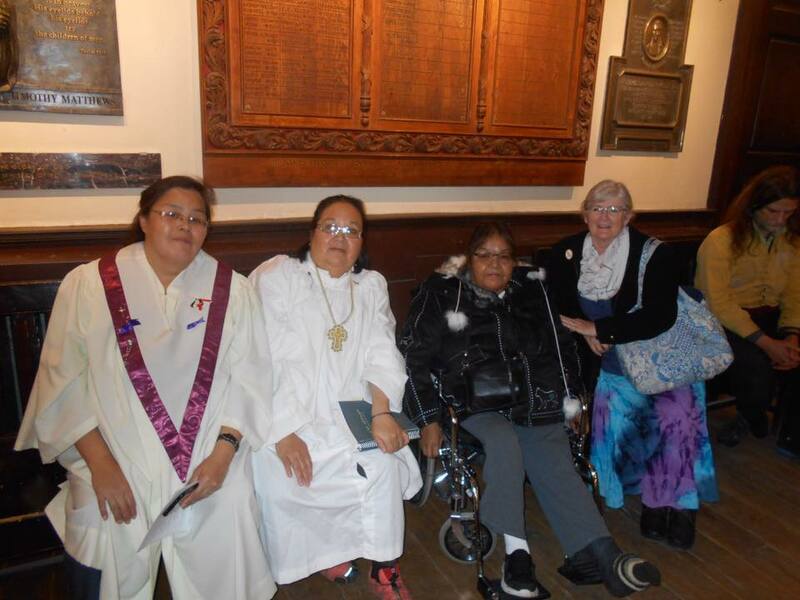 It was a special treat for us to see and speak with a number of our Naskapi friends who were on hand for the service and reception. We are so grateful to God for the work that He continues to do among them. 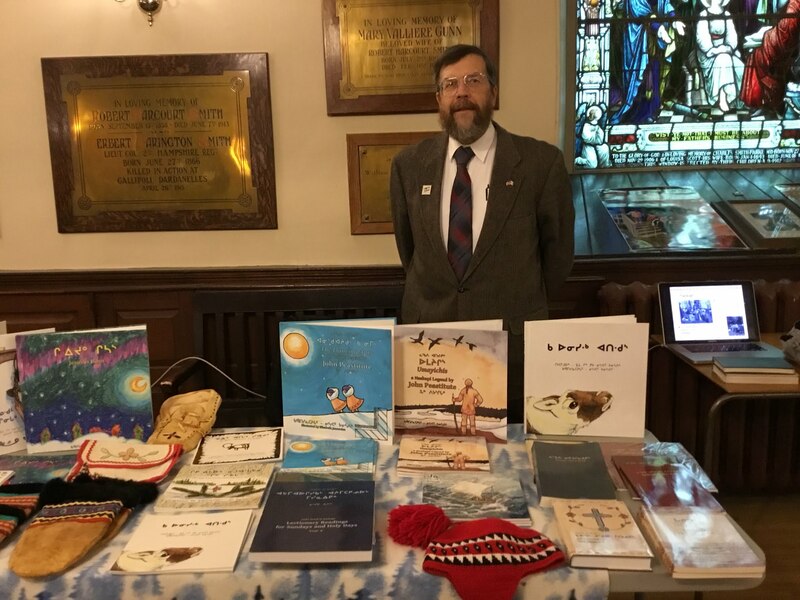 The weekend of October 25-29 we are off to the 50th Algonquian Conference in Edmonton, an academic conference where we will be presenting a paper about translation. Thank you for your prayers for us! 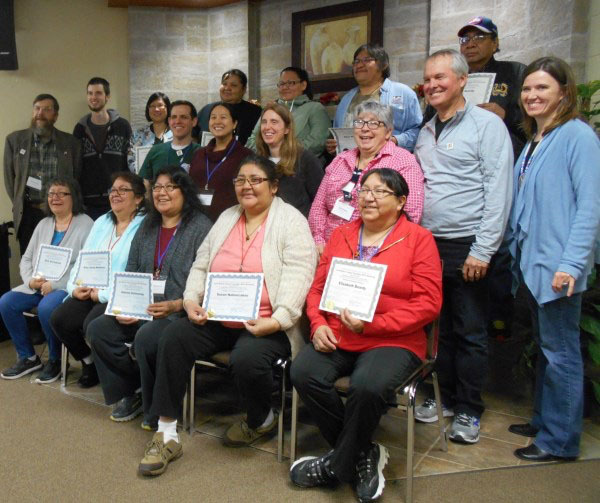 After the First Nations Bible Translation Capacity-Building Gathering that was held at Prince Albert, Saskatchewan in 2014, there were several projects that were prioritized, including work on Oji-Cree, Cree and Naskapi Bible translation projects, along with activities focused on building the capacity of the local communities to accomplish these translation goals. 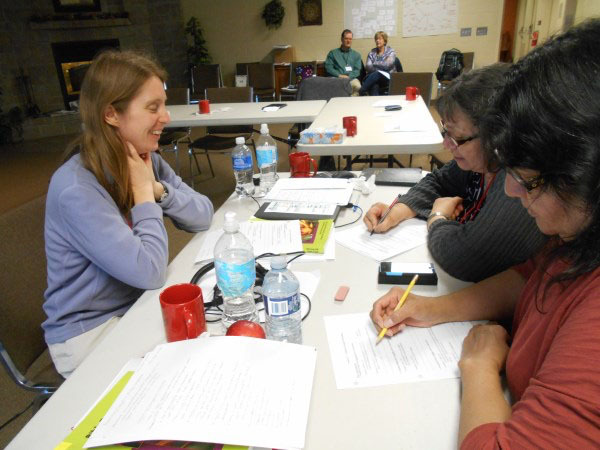 One necessary part of capacity-building includes the recruitment and training of new Bible Translation facilitator teams to work alongside language speakers in their communities in the north. 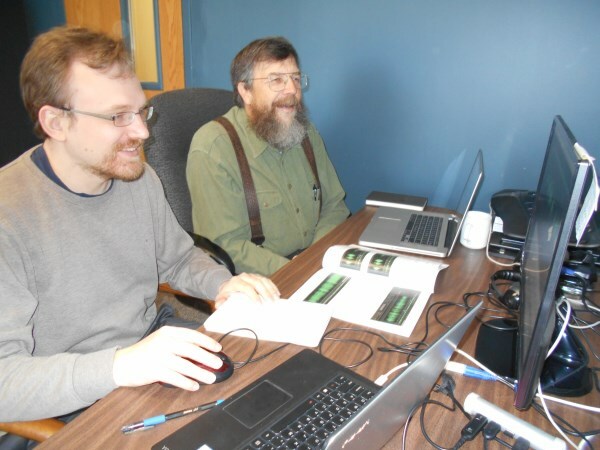 A key part of the preparation for these Bible Translation facilitator teams is a period of in-field training and language service with the Naskapi translation project. 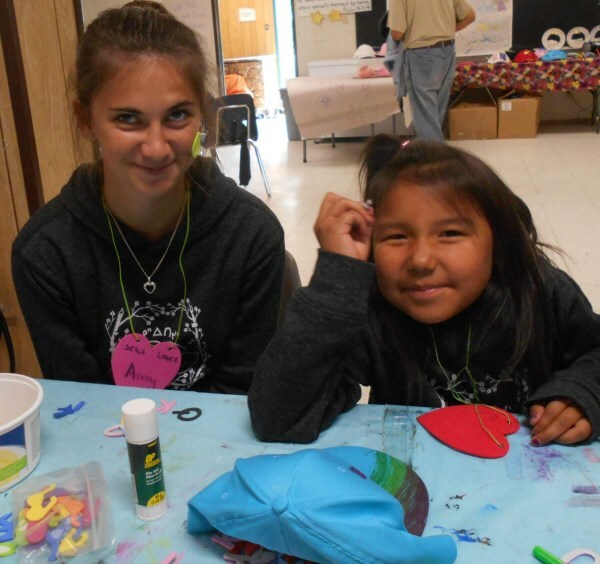 During this time of gaining experience living in an isolated northern First Nations community, the new teams will serve the Naskapi as Linguistics Interns, taking part in the facilitation of a real ongoing language program there. To help the new teams with a smoother transition to their in-field training period, they accompany us on one of our working trips to the Naskapi community. 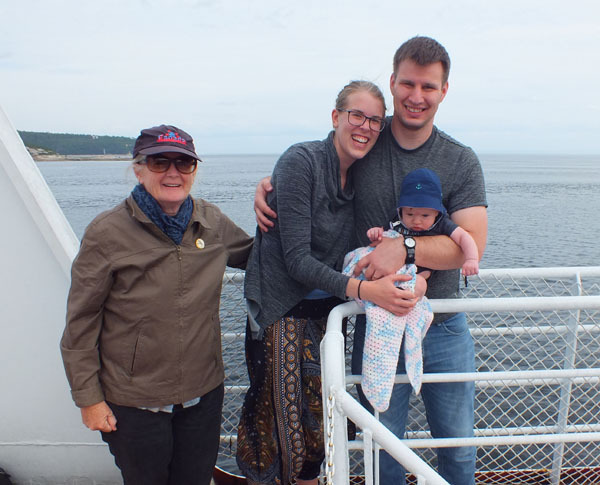 In August of 2018, David & Avery Standley (and baby Azariah) came with us to visit the Naskapi community of Kawawachikamach, as their part of their introduction to the situation in Canadian First Nations, as well as a chance for us to get to know them better. 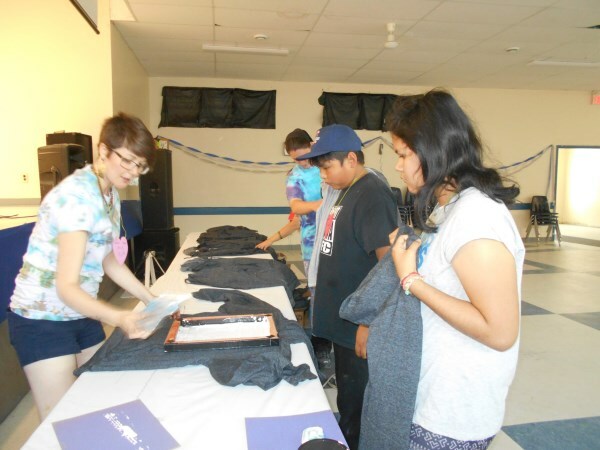 You may remember that in 2015, Matthew & Caitlin Windsor accompanied us to Kawawachikamach on a similar visit. You can read about that trip at this link here <link>. 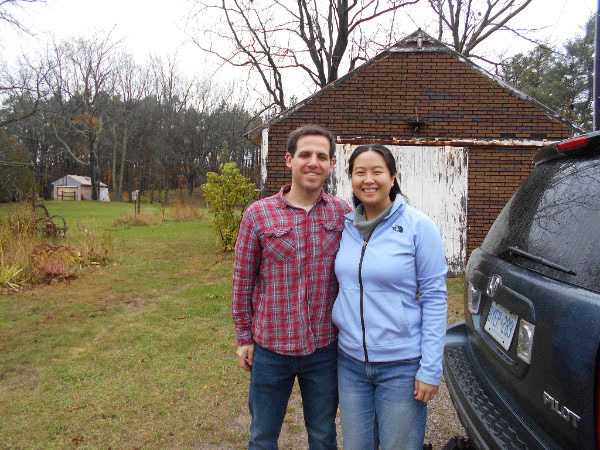 And then in 2016, Martin & Alice Reed came with us to Kawawachikamach on their first visit there. You can read about that trip at this link here <link>. 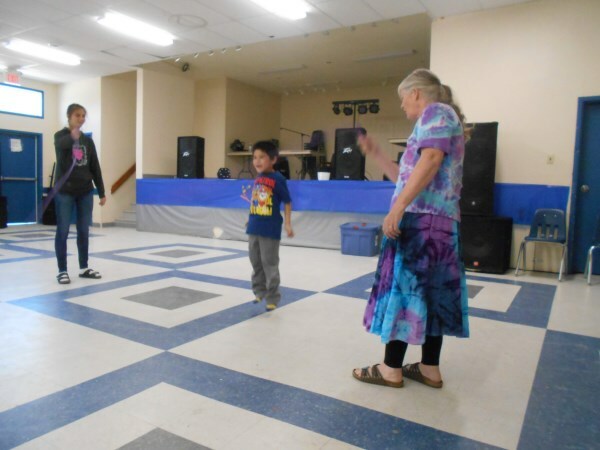 Martin & Alice are now serving speakers of the Western Swampy Cree language in northern Manitoba, and Matthew & Caitlin are serving speakers of the Oji-Cree language at Kingfisher Lake in northern Ontario. On this year’s trip, beginning last August 18, we picked up David, Avery & Azariah at the Buffalo, NY airport, and from there we drove for the next four days together up through southern Ontario and along the north shore of the St. Lawrence in Quebec to Sept-Iles, were we boarded the train to Schefferville. 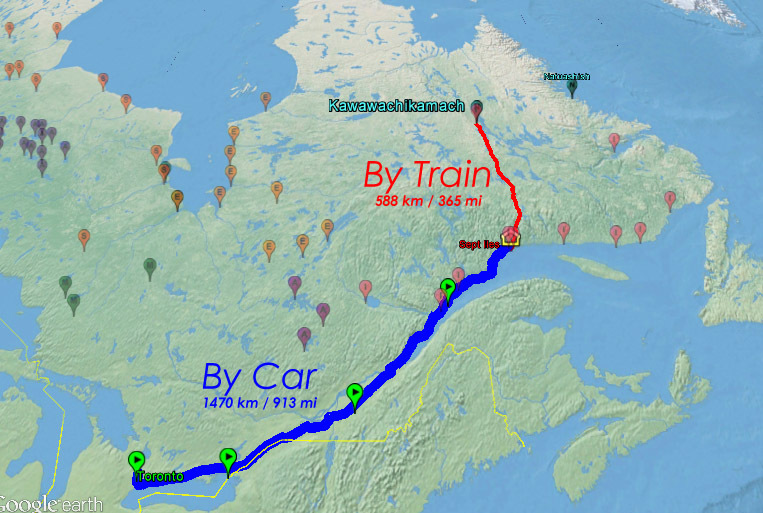 The train ride this time was 16-1/2 hours, arriving at Schefferville near midnight. We were met at the train by Naskapi translator Silas, who brought David & Avery to the Naskapi community of Kawawachikamach in the wee hours of Friday morning, August 24. 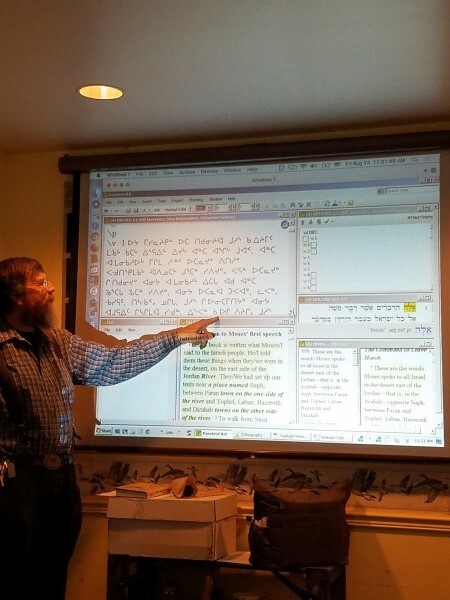 Each workday we met with the Naskapi translation team to work through the various stages of translation for the current active Naskapi Old Testament translation projects, moving them closer to their goals. The team is now working on the books of Deuteronomy (Tshiueten), Joshua (Silas), Judges (Amanda), and Esther (Ruby). 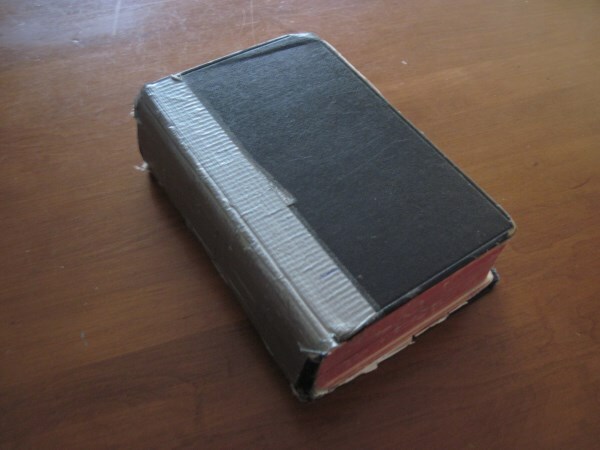 They have also just started work on the book of Job as a team project. 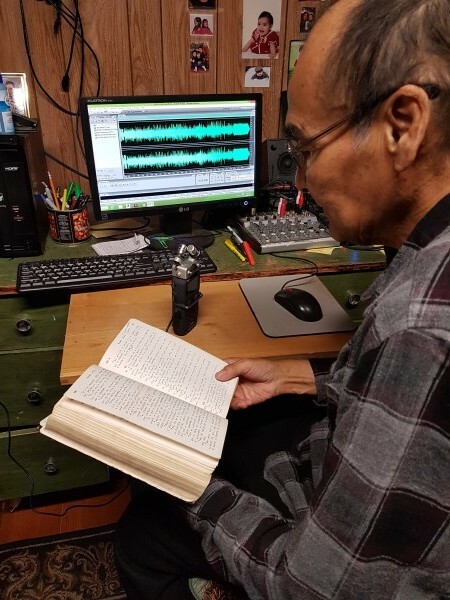 We also worked with other speakers and elders on revisions to the Naskapi dictionary, descriptions of the Naskapi grammar and books of Naskapi stories. 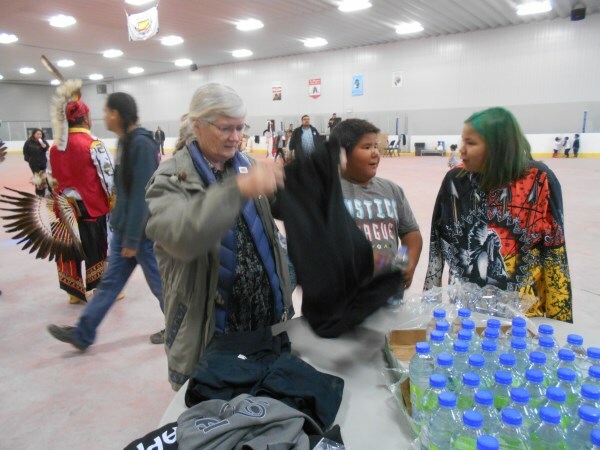 Retired consultant linguist Dr. Marguerite MacKenzie from Memorial University in Newfoundland was on hand to provide her help and guidance with these projects. The Naskapi translation team learned more skills in how to use the computer-based translation resources that are available to them, along with reminders of the importance of the several other stages of Bible translation that come after the (1) “First Draft” is made, such as: (2) “Team Checking” of the passage with other members of the translation team to ensure accuracy, (3) “Community Checking” with elders and other members of the community to ensure clarity and naturalness, (4) “Back Translation” so that the text can be reviewed by exegetical consultants, ensuring that the entire meaning of the text is communicated. 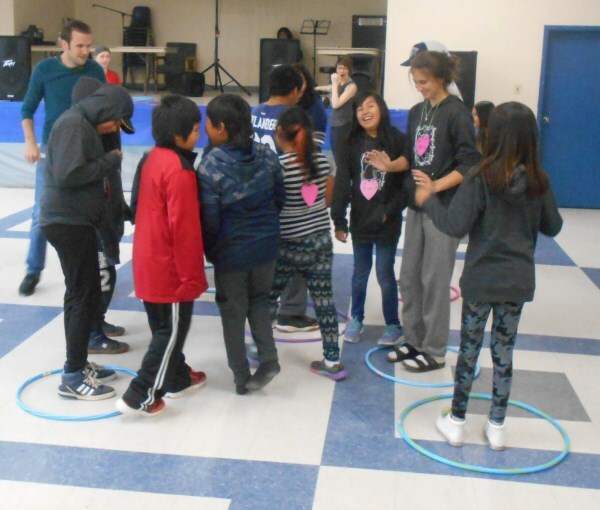 David & Avery not only got to be a part of the workshops during the day, but also enjoyed connecting with the Naskapi people in the community outside the office, in recreational sports and community activities. Avery is a welcome member on the volleyball team! 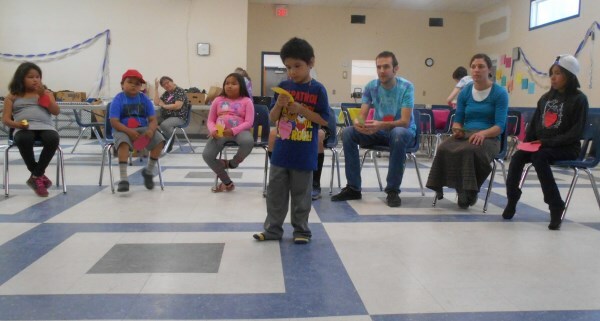 Azariah got to know some new Naskapi friends as well. 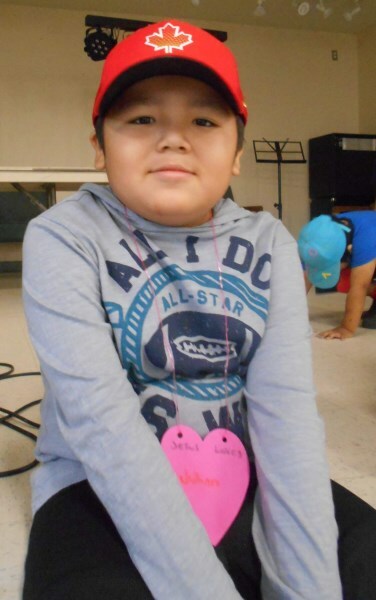 Jaiden, who used to stay with us when he was small, is doing well. He’s 11 years old now and enjoying school. Since the languages are all closely related, and the values and culture of these language communities share a lot in common, their planned in-field training period serving in a linguistics internship with Naskapi for several months will continue to support the Naskapi project in significant ways, moving the Naskapi team closer to a sustainable level of capacity, while also giving the new teams the practical skills and experience that they will need to work in the language communities that are still waiting for God’s Word in their mother tongues. This will also enable us to leverage our own experience so that we can support these new teams as mentors, while God continues to use us to assist the other language projects where we still have the privilege to serve. 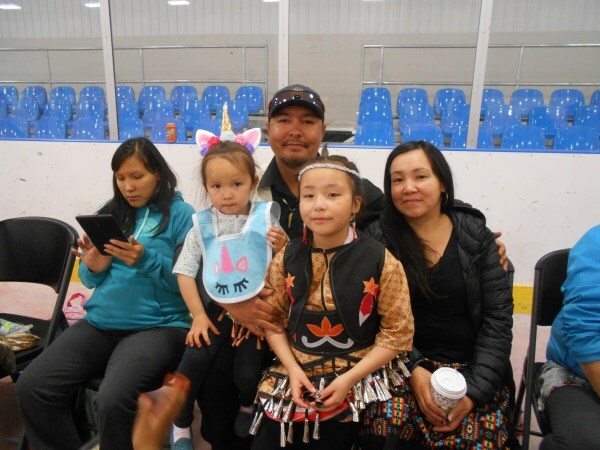 The Standleys hope to begin their Linguistics Internship with the Naskapi project sometime in the next year or so, and be ready to move on to another related language community, such as Innu, or Cree, who even now are still waiting for the scriptures in their own language. 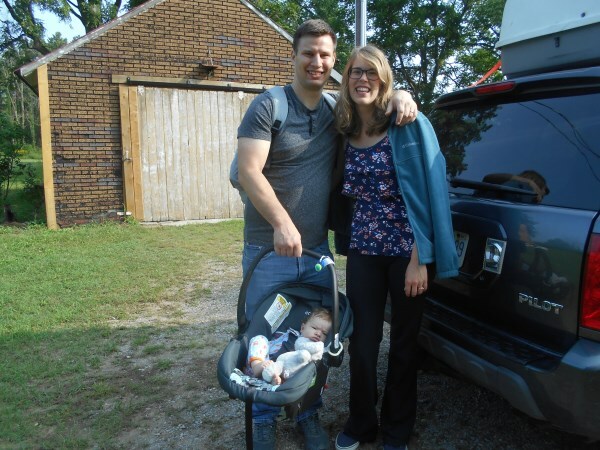 Please continue to pray for David & Avery (and little Azariah) as they continue their steps of preparation and seek adequate support so that they may move to the north and begin their internship. Pray for us that we will be sensitive to God’s leading and faithful to His call as we provide guidance to these new teams. 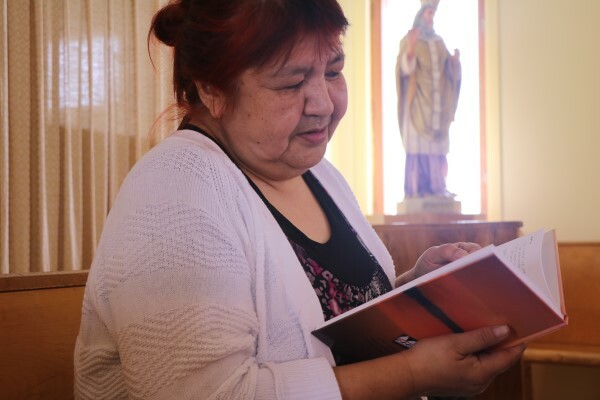 Pray for the First Nations language communities that we have already begun to work alongside of, and for those who are still waiting to have the message of God’s love and hope in their own languages. 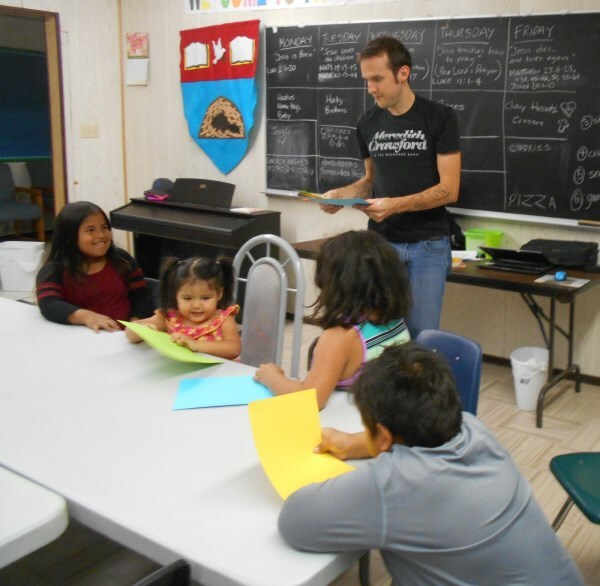 Pray for the Naskapi team as they work toward their Old Testament project goals and learn to work in their own language program with more and more confidence and ability. 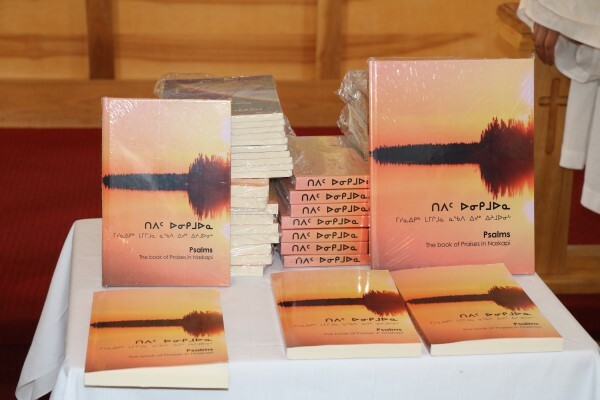 Thank you for your own interest, support and encouragement for this work that God is doing in minority First Nations language communities in Canada. 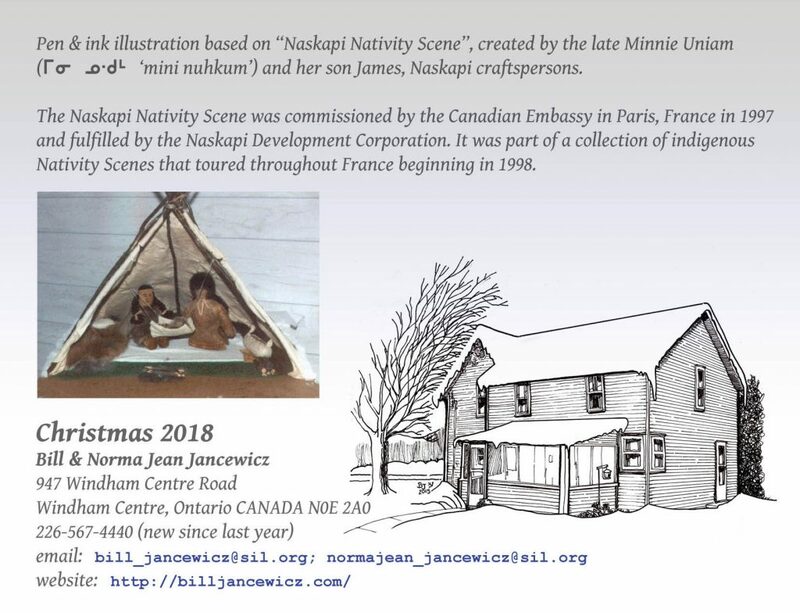 In just a few short days we will be journeying north again to the Naskapi community of Kawawachikamach outside Schefferville, Quebec. We return to work with the Naskapi translation team there on their Old Testament translation, Scripture engagement and literacy projects. 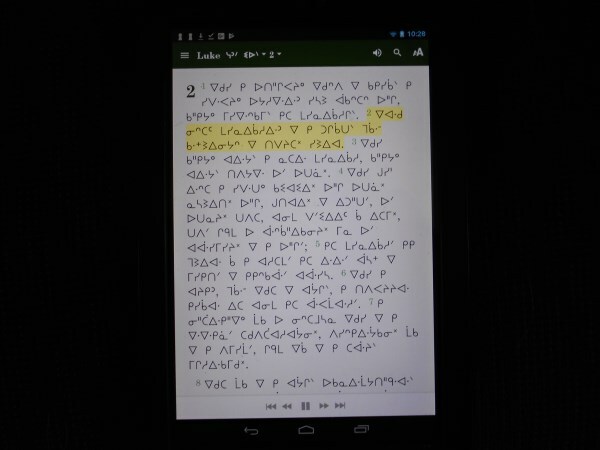 As many of you know from our previous Translation Briefs, the Naskapi Bible Translation project has been not only the inspiration and motivation for other First Nations communities to begin their own translation projects, but the Naskapi project is also a place where Next Generation Bible translation facilitators can gain practical experience serving a project as Linguistics Interns. 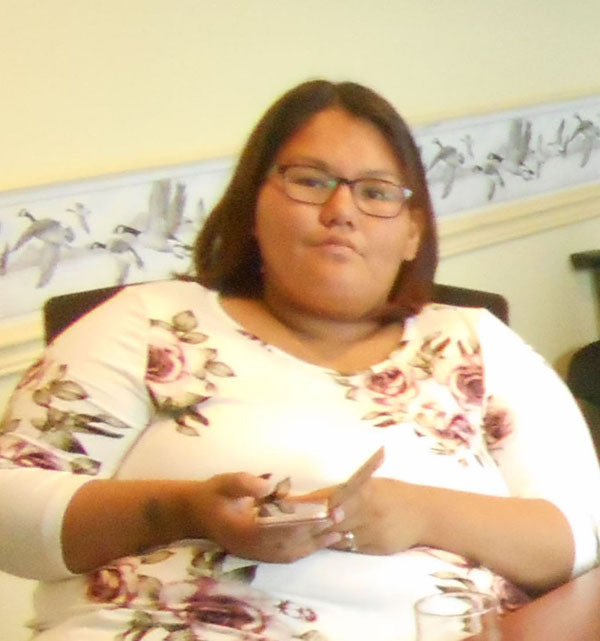 Two new young teams recently starting their service to other First Nations translation projects, the Reeds and the Windsors, have completed their internships at Kawawachikamach with the Naskapi. 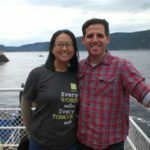 This August we will be bringing still another young couple interested in serving in First Nations Bible translation with us to visit the Naskapi project. 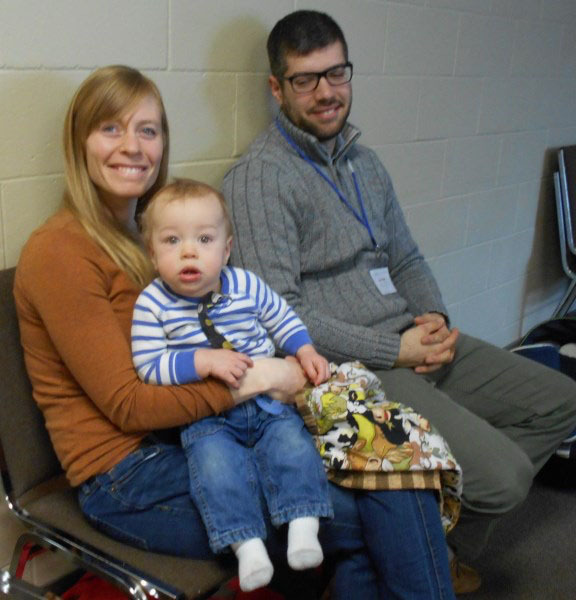 David & Avery Standley, and their son Azariah. 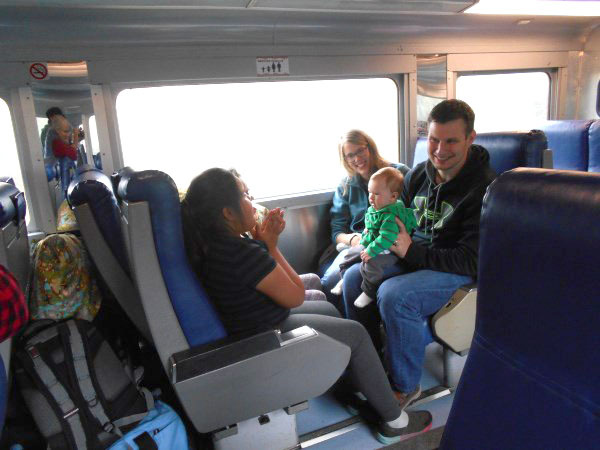 David & Avery are from Olympia, Washington, on the west coast of the United States. 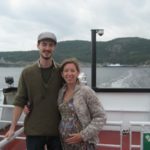 They both completed their undergraduate degrees in linguistics, and have also taken the field linguistics courses at CanIL (the Canadian Institute of Linguistics) at Trinity Western University in Langley, BC. 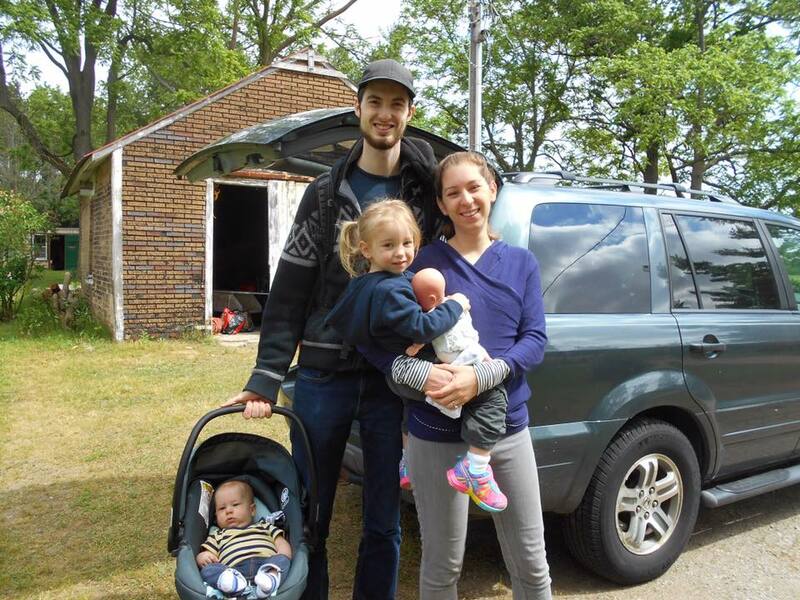 They will be traveling with us and their new little baby boy, Azariah, who is just 3 months old. They are flying here from the west coast to meet us for the first time this Saturday August 18, and we will be driving with them up to Sept-Iles, Quebec, to take the Thursday, August 23 train to Schefferville. 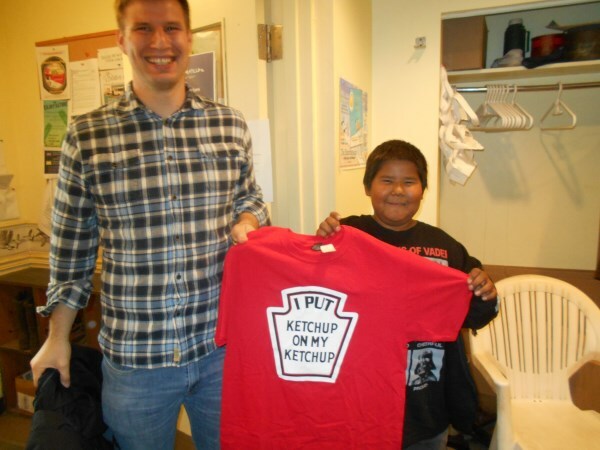 David & Avery are just visiting the Naskapi community with us this time, but if things work out, they are hoping to do an 8-month internship at Kawawa with the translation team eventually. 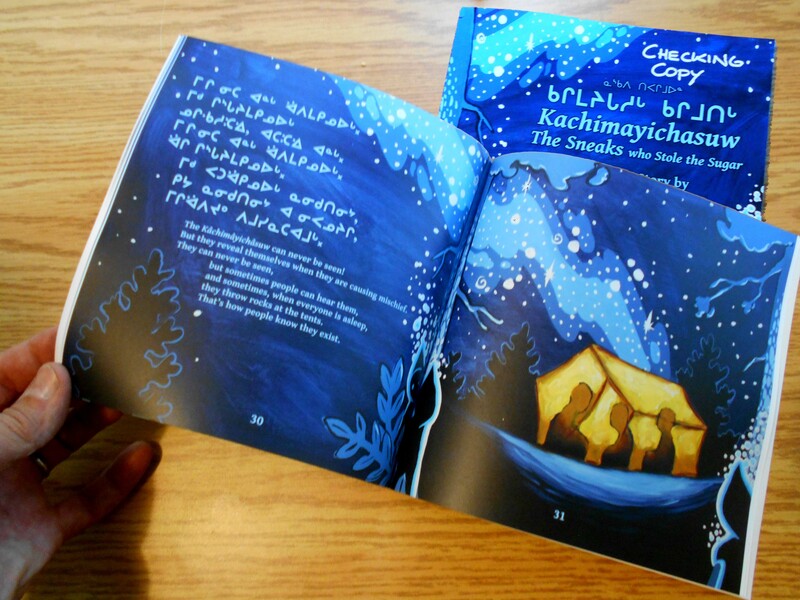 Besides Bible translation, we are also working with the Naskapi translation team on literacy projects, and are just in the checking and review stage of a new children’s book based on a traditional Naskapi story about Kachimayichasuw, mysterious mischievious beings that are said to throw rocks at Naskapi tents and steal supplies. 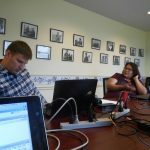 We will work with the Naskapi team until the first week of September, and return home around September 9, Lord willing. 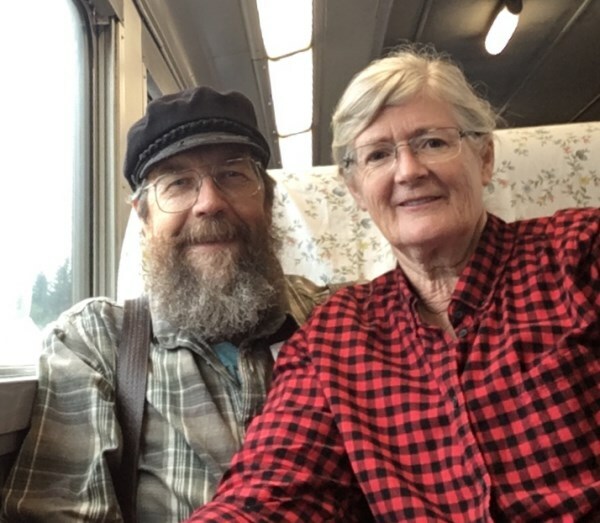 Please remember us in prayer for safety and travel mercies during the long days on the road, for productive and instructive times with the Naskapi translation team, and for God’s continued leading and guidance in our lives, the lives of the Naskapi translators, and David & Avery. 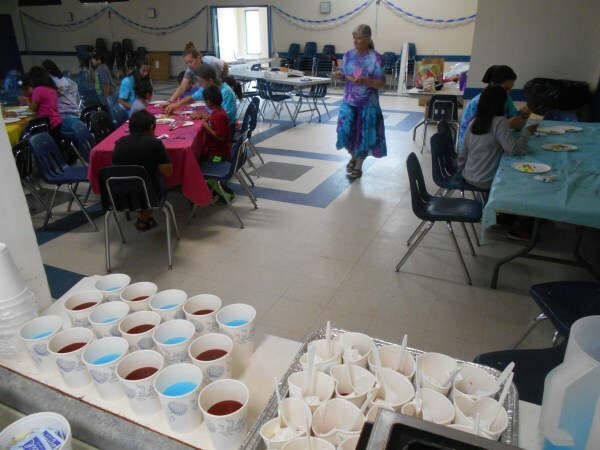 Thank you for your prayers for the Kingfisher Lake Oji-Cree Vacation Bible School (VBS) that was held this summer the week of July 23-37, 2018. 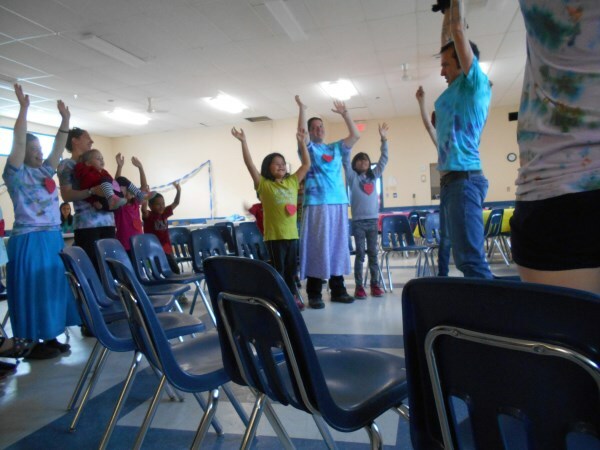 This “Scripture Engagement” event is the second in a series that got its start when the Oji-Cree Bible Translation team in Kingfisher Lake expressed their hearts desire for the children of their community, their next generation, to hear the message of the Gospel in their own language. 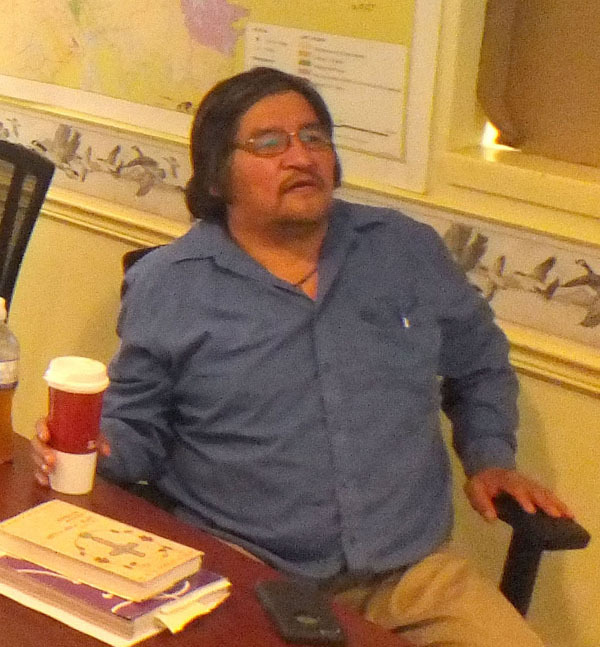 This year, the Oji-Cree leaders met with us in March to confirm their desire to have us come and help them again this summer. The topic chosen for this summer’s VBS was the life and teachings of Jesus, with the two greatest commandments as their focus ‘Love the Lord your God with all your heart and with all your soul and with all your mind and with all your strength.’ The second is this: ‘Love your neighbor as yourself.’ (Mark 12:28-34) and “Love One Another” as the theme for the week. Kingfisher Lake is an isolated First Nations community in northern Ontario, where the Oji-Cree language is spoken. 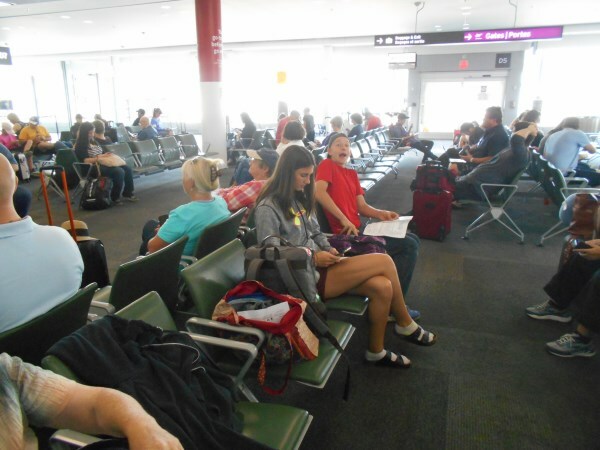 On Friday morning, July 20th, the six travelers met with loved-ones and members of the Simcoe, Ontario Immanuel Church for prayers and farewells before we drove to the Toronto Pearson Airport for the first leg of the trip, a 2-hour flight to Thunder Bay. 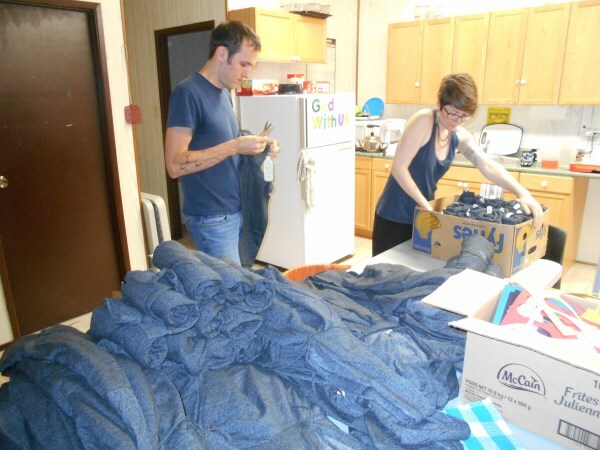 Immanuel church has been praying and fundraising so that they could send two of their youth, Amy Lewis, and Jacco DeBruin. 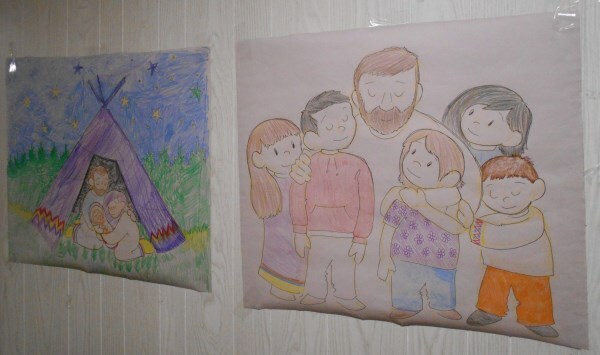 Our daughter Elizabeth Jancewicz has been working for months helping with the plans and creating the culturally-appropriate visual images and crafts for the program. 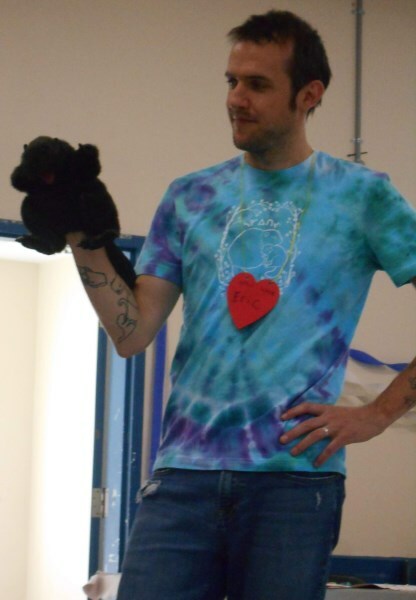 This year we were so happy that her husband Eric Stevenson could come to provide help with games and music. 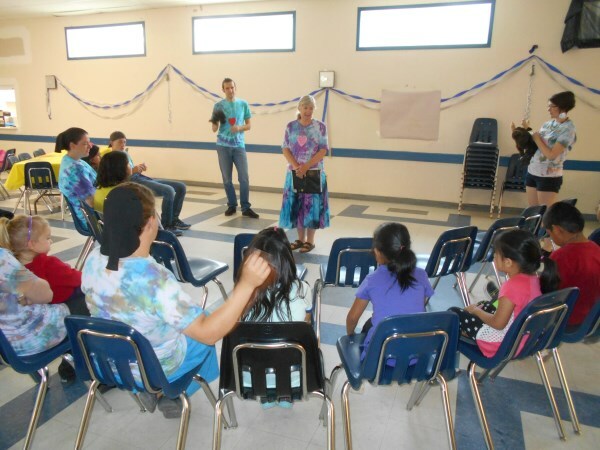 Norma Jean was the overall VBS coordinator and liaison with the Oji-Cree team. 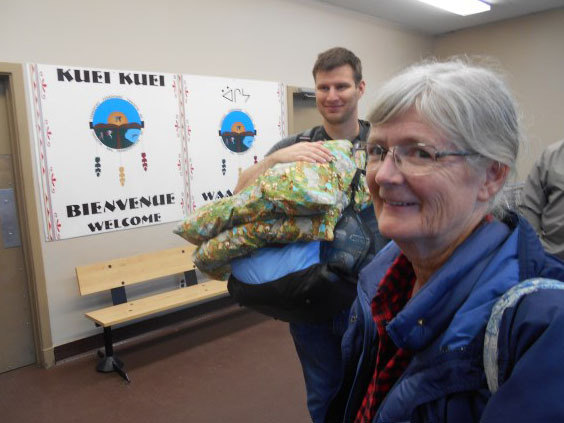 Because of flight connections to the northern communities, we spent the night in Thunder Bay at a hotel and got up bright and early to take the morning flight to Sioux Lookout on Wasaya Airlines, a First Nations-owned airline that services the northern communities in Ontario and Manitoba. Due to weight limitations on the smaller plans to Kingfisher Lake, Jacco volunteered to surrender his bag as “low priority”, which meant that most of our priority VBS supplies could arrive on time. 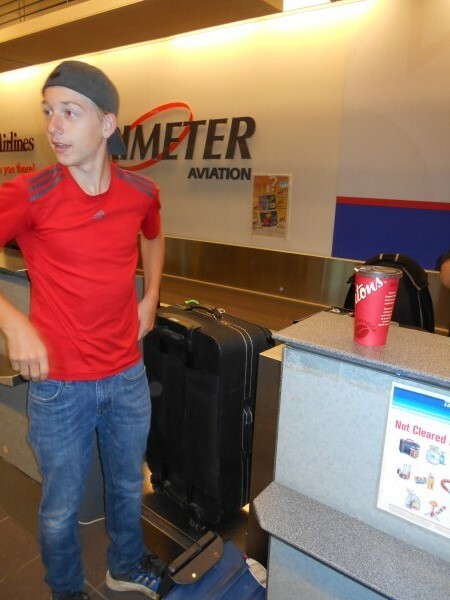 Jacco’s bag did arrive in Kingfisher lake two days later. 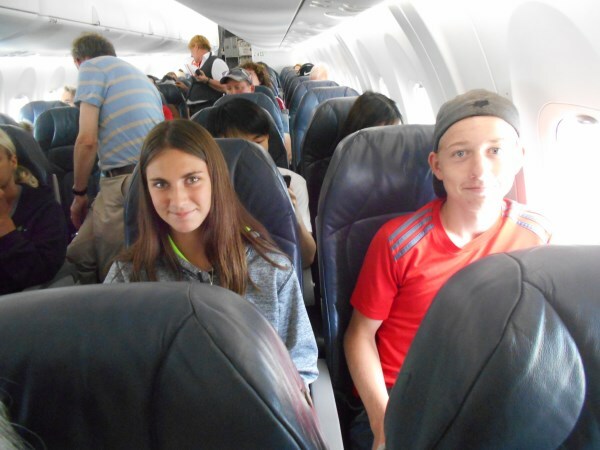 The weather was fine for all the flights from Toronto to Thunder Bay, to Sioux Lookout, to the little Oji-Cree communities of Summer Beaver and Wunnumin Lake, and finally to Kingfisher Lake by Saturday afternoon. 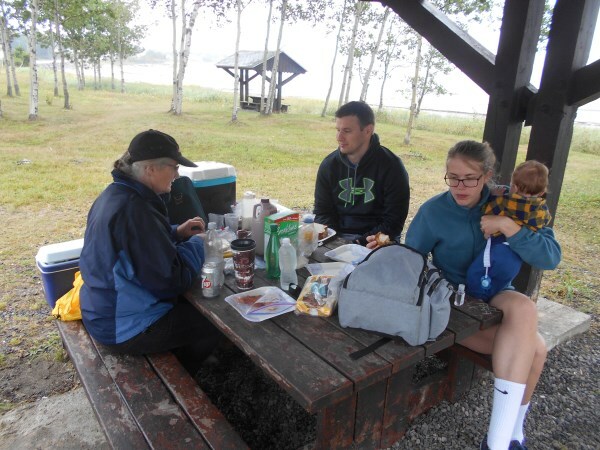 So, after three planes, six airports, 1100 miles, 14 hours, two time zones, and one sleep all in one and the same Canadian province, we made it to the Kingfisher Lake community in northern Ontario. 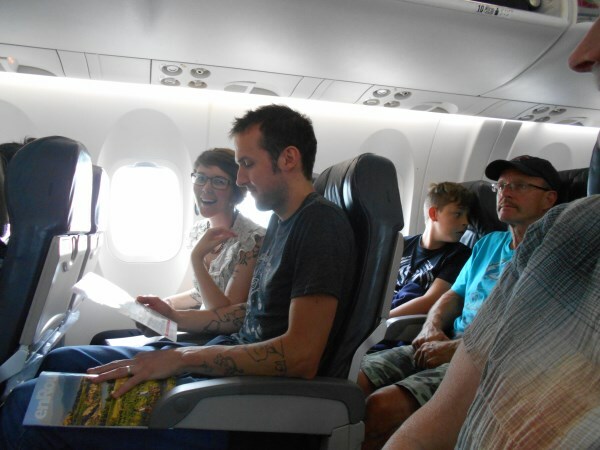 We were met there at the airport by our good friends from the Oji-Cree community along with Matthew and Caitlin Windsor and their family, the Wycliffe team newly assigned to assist the Oji-Cree Bible translation project. 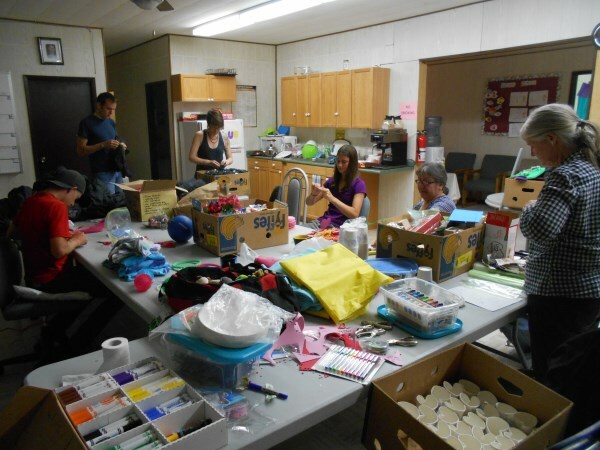 They brought us to our rooms at Mission House, where we all began to sort and organize the VBS materials, and plan the week with the local translation team. 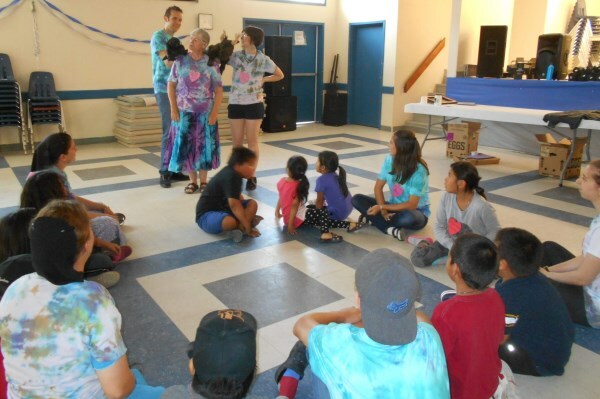 On Sunday, the team had an opportunity to do a “dry run” of the VBS program when the local church leaders invited Norma Jean and the team to teach Sunday School at the Mission House. We were able to meet some of the children who would be attending the VBS program during the week. 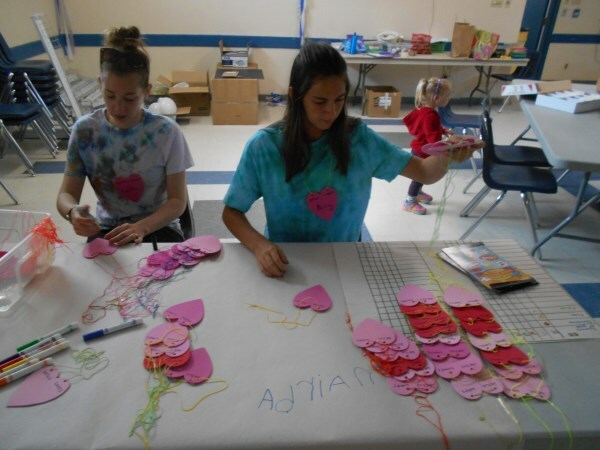 The team planned the VBS program for two different age groups each day: Kindergarten through grade 3 in the mornings, and grade 4 through grade 8 in the afternoon. 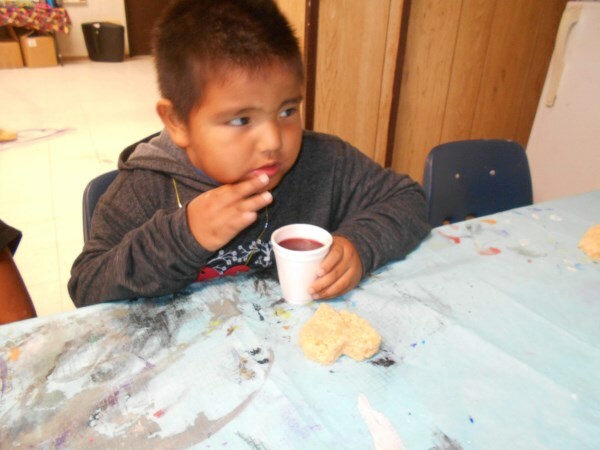 Each group had an age-appropriate song time, Bible story, crafts time, snack time and game time during their session every day. 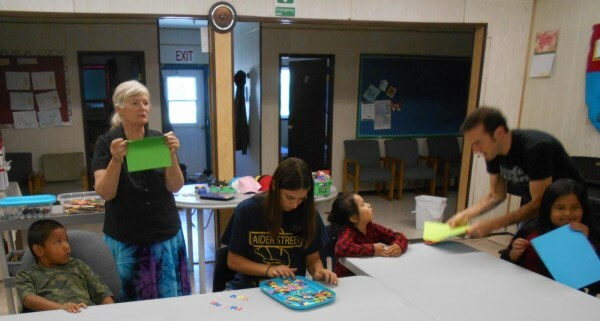 Besides help from the Oji-Cree translators and the Windsor family, we also had assistance from ministry workers with Northern Youth Programs (Ann & Lynnette) as well, who were in the Kingfisher Lake community for several weeks of service. 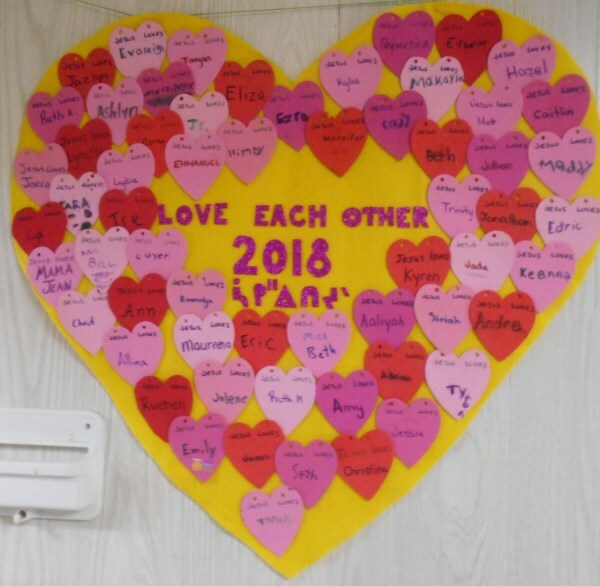 Every day we met the children at the door, learned their names, and gave them name-tags in the shape of a heart. 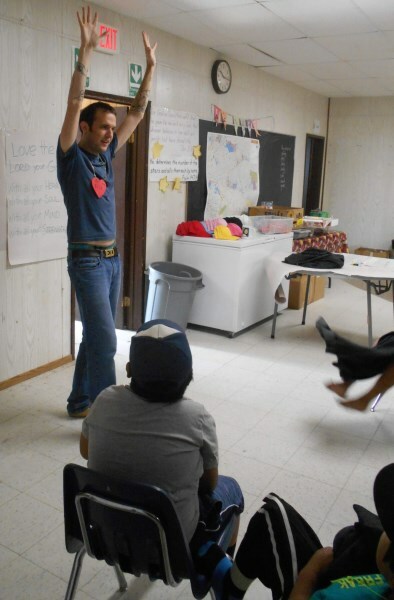 Eric led a fun singing time as the children gathered each day. 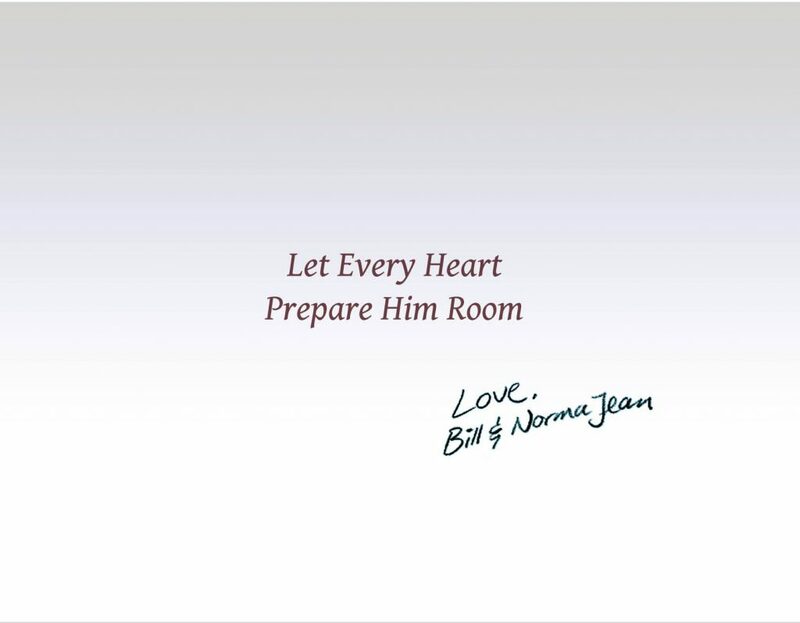 Norma Jean told a Bible story while Elizabeth drew an extra-large “colouring poster” that illustrated the story. 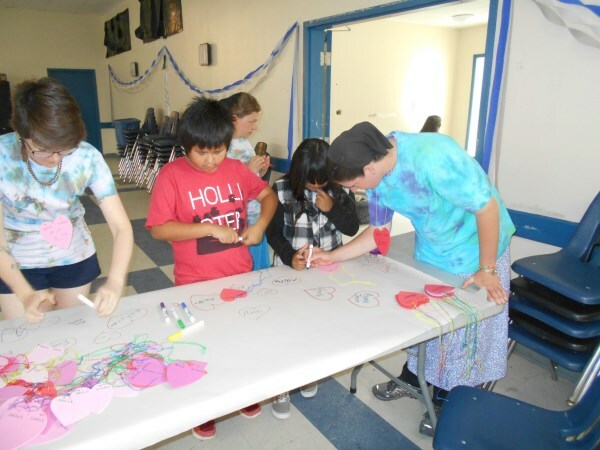 During crafts time, colouring the poster was one of the options. 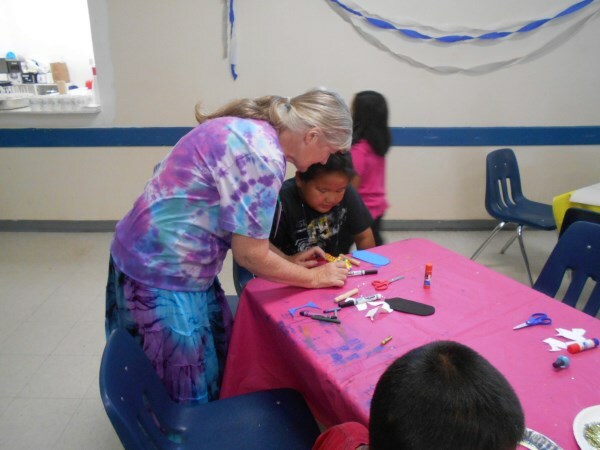 There were different crafts prepared each day that the children could do that were related to the topic or the VBS theme. 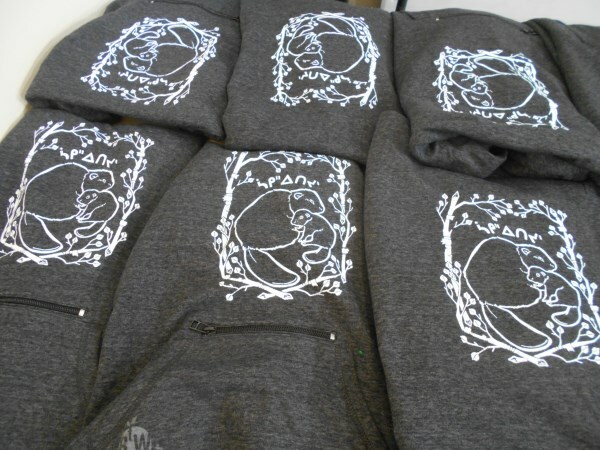 One of the major crafts was for the children to screen-print their own “hoodie” sweatshirt, with help from Elizabeth and all of you who contributed to the hoodie fundraiser. 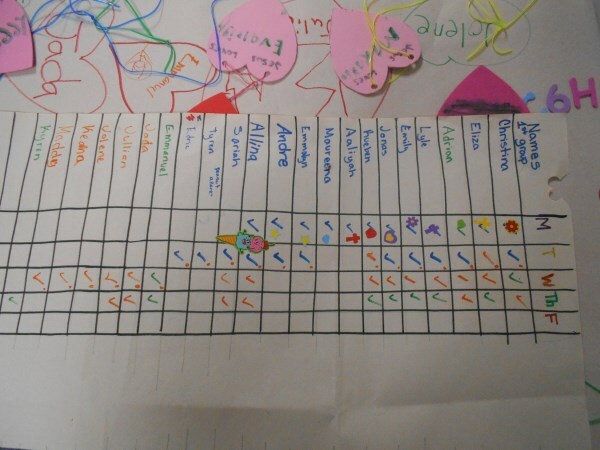 These were appreciated by all the children and leaders. 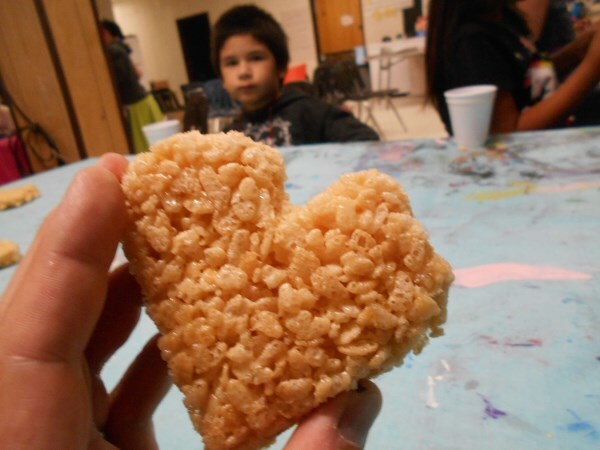 To keep everyone’s energy up for all these activities, snacks were prepared and served to the children each day. 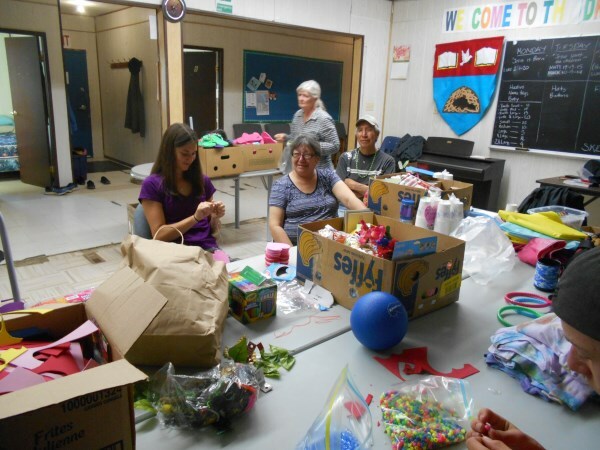 Everyone pitched in with the crafts and snacks. Eric was a wonderful game leader and the children had a good time playing old games (musical chairs) and learning new ones (blob tag). After game time, everyone sat down to hear Norma Jean re-tell the story, asking for the children to fill in the details with the help of Mr. Beaver and Mr. Moose (Eric and Elizabeth). All our travels went reasonably well. More children came every day, and really seemed to enjoy all the parts of the program. 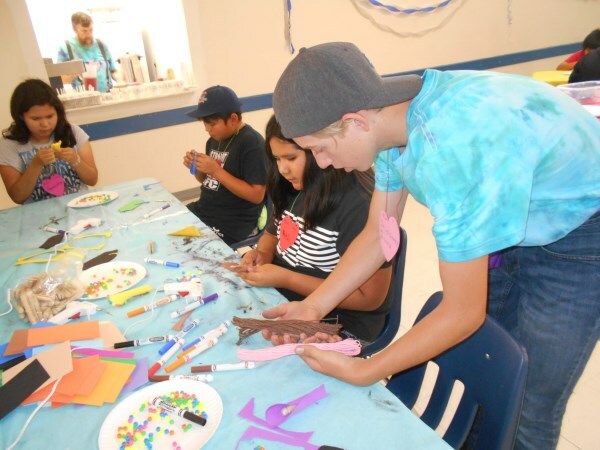 The VBS staff from outside worked together well with the local VBS staff, and along with the ministry workers from Northern Youth Programs as well, who were in the community for several weeks of service. It was wonderful serving along side Matthew & Caitlin Windsor and their family, now living at Kingfisher Lake and beginning their service there as Bible Translation facilitators. 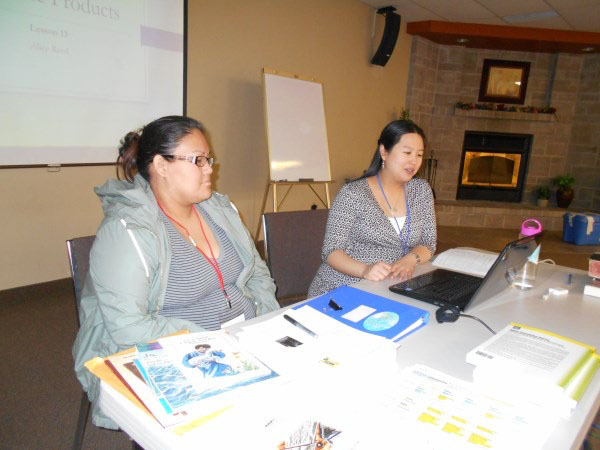 When we met with the Oji-Cree translation team leaders, they said that they were pleased with the program and asked us to consider having another program like it in the summer of 2019. 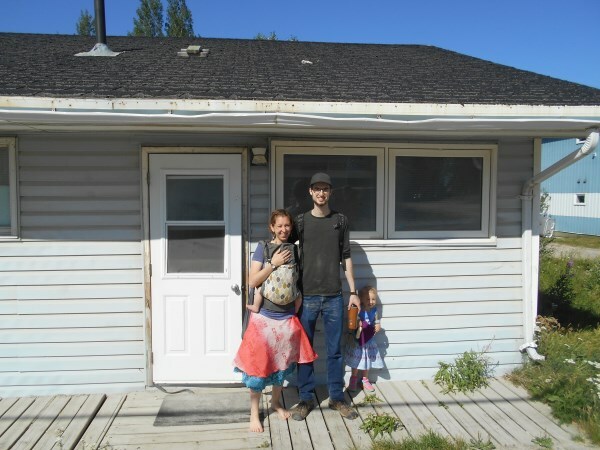 Matthew & Caitlin are still looking for permanent lodgings in Kingfisher Lake. Please pray that God would meet this need soon. 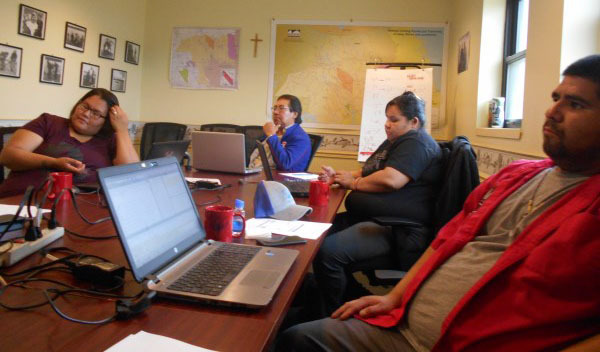 The Oji-Cree translation team would like your prayers as they seek to grow their team in numbers and capacity. 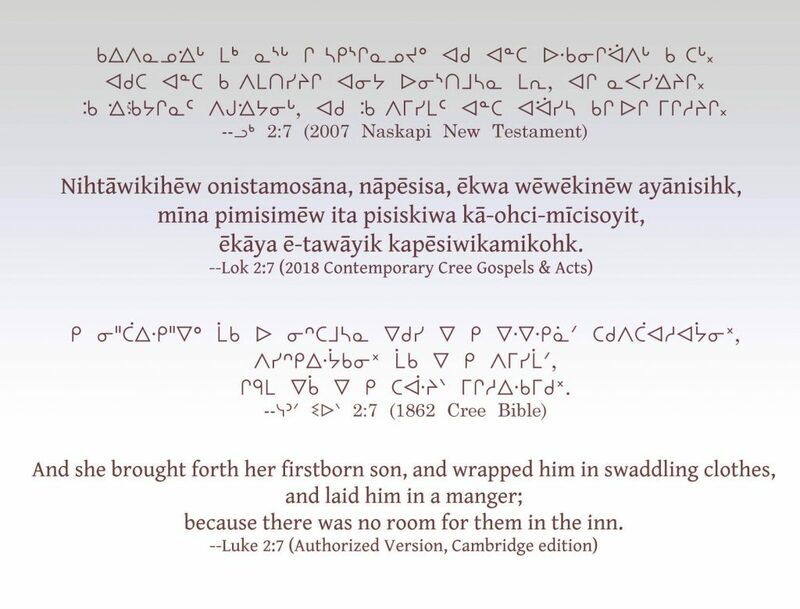 Our Dear Partners, A couple years ago now, we posted a “Northern Translation Brief” that featured stories about how God is at work raising up The Next Generation of people who are committed to First Nations Bible Translation, especially among the Cree subgroup of the Algonquian language family. 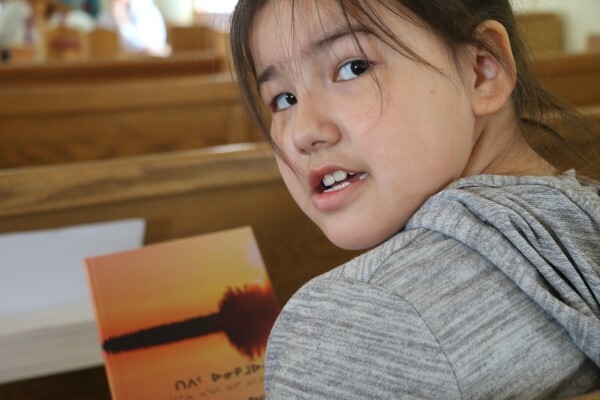 We are so grateful for the way we have seen God bringing His people to join us and the First Nations communities in the work of helping to bring the message of hope in the Bible into many of these First Nations languages who are still waiting for it. 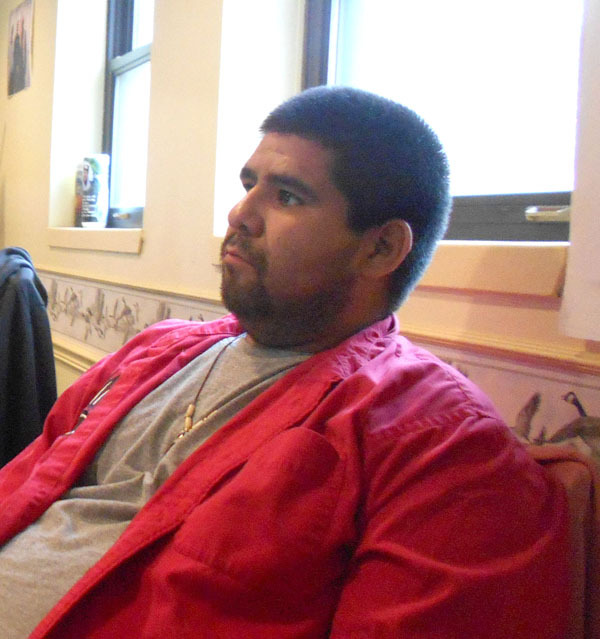 This post is an update celebrating some milestones in the lives of these who have joined this work with us. 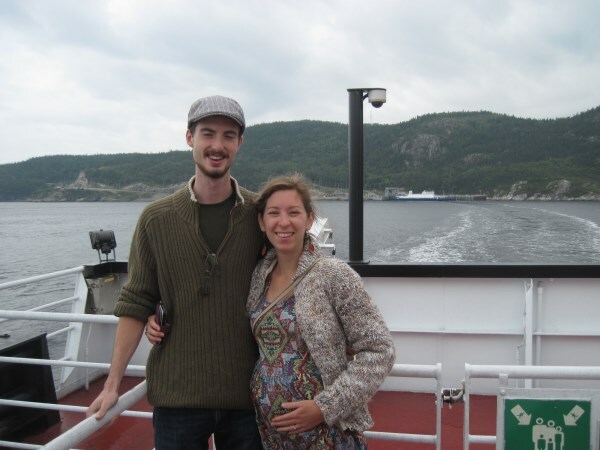 Matt and Caitlin are from Vancouver Island, British Colombia, Canada. 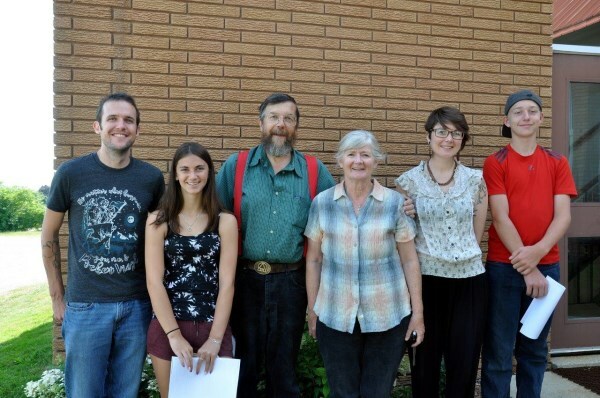 They just completed their internship serving the Naskapi translation project in Quebec, where they helped with the completion of the books of Exodus and Psalms in Naskapi. 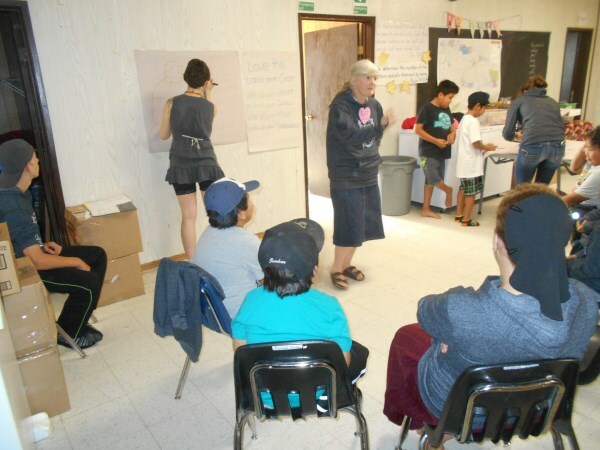 After a short but busy visit with us in our home last week, on June 7th they arrived in the Oji-Cree language speaking community of Kingfisher Lake in northern Ontario. 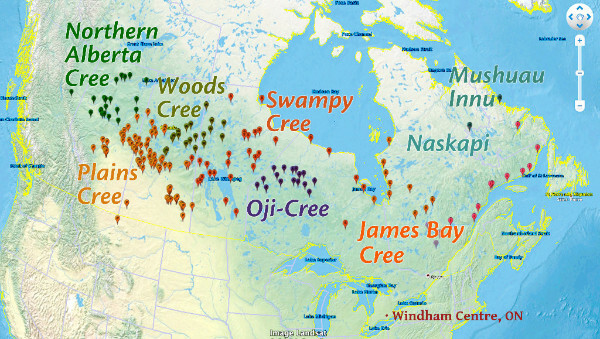 There they will support and facilitate the New Oji-Cree translation team in Bible Translation and language development. 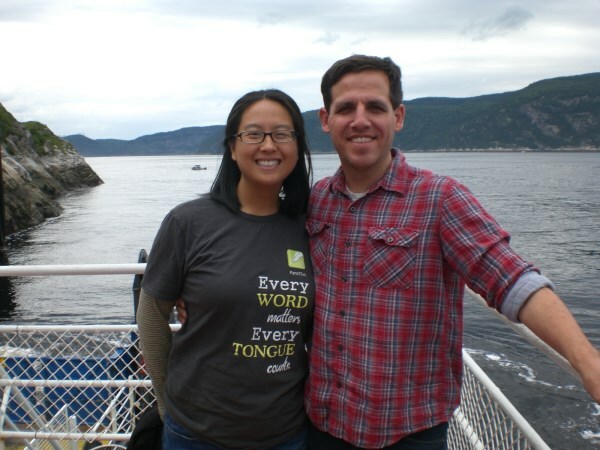 Martin and Alice met while training for Wycliffe Bible translation ministry at the Graduate Institute of Applied Linguistics (GIAL) in Dallas, and are united by a shared passion for crossing language and culture barriers to make God’s Word accessible to all. 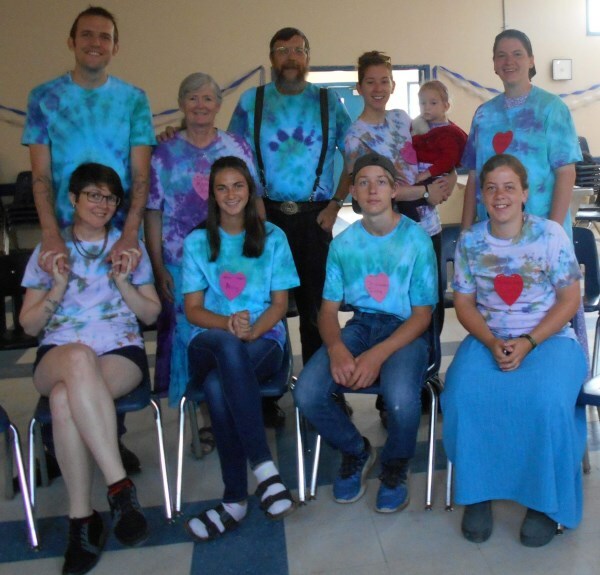 They completed their internship serving the Naskapi translation project in Quebec last fall, where they assisted the team with the completion of the Book of Bible Promises, and helped with the Psalms and the book of Exodus in Naskapi. 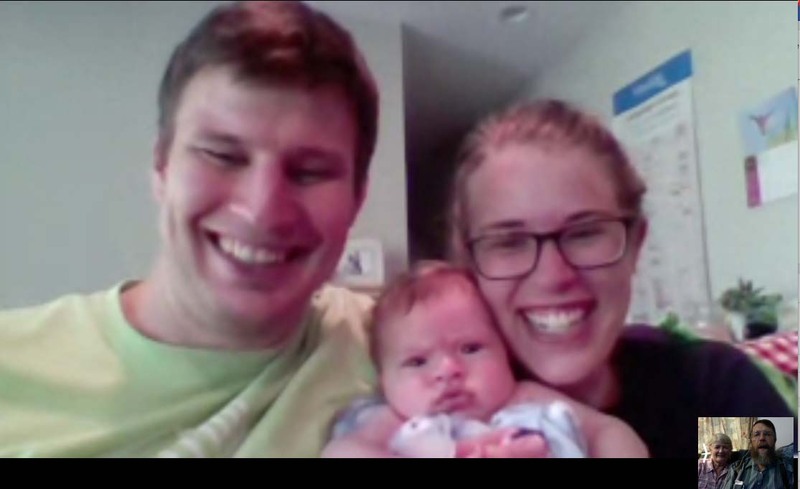 They moved to the town of Thompson, Manitoba in December and celebrated the birth of their new daughter Grace into their family on May 31st. 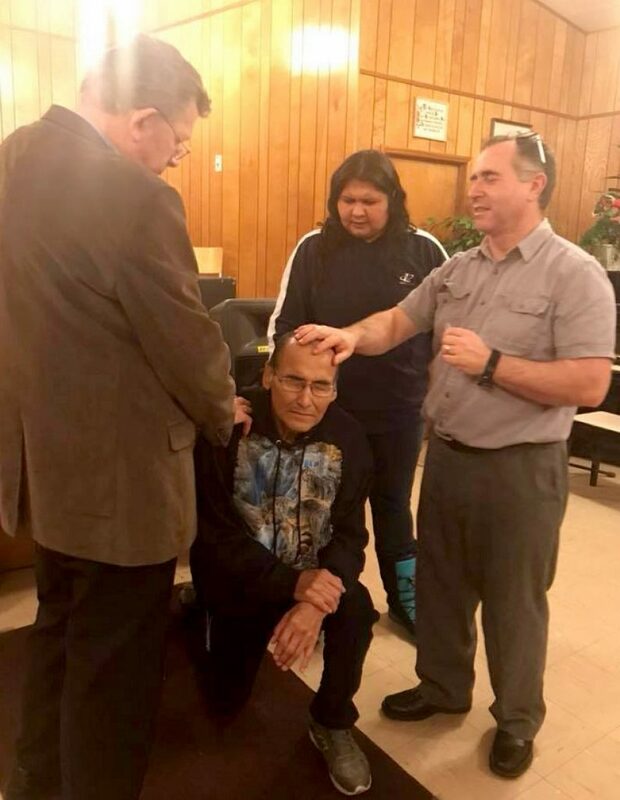 Besides looking after baby Grace and each other, the Reed’s are continuing to make contact with believers and leaders in communities where Western Swampy Cree is still spoken by a significant percentage of the population. 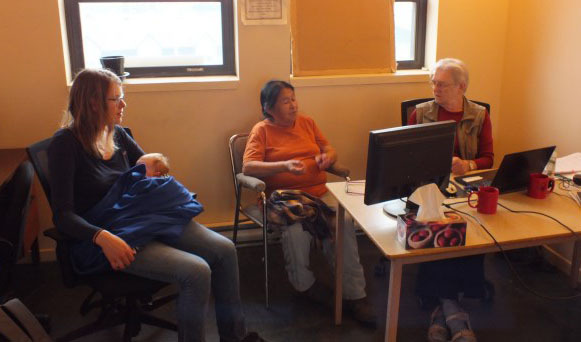 When they do, they share about the kinds of language development and translation services they can assist the communities with. 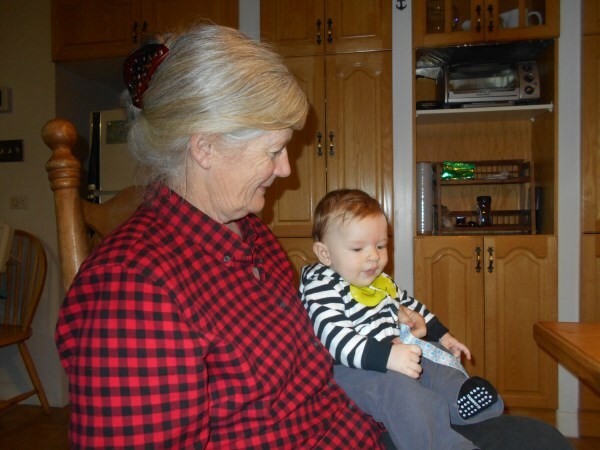 Tom is a linguist trained at CanIL in Langley, British Columbia. Bethany is a doctor and licensed as a family physician in Ontario. 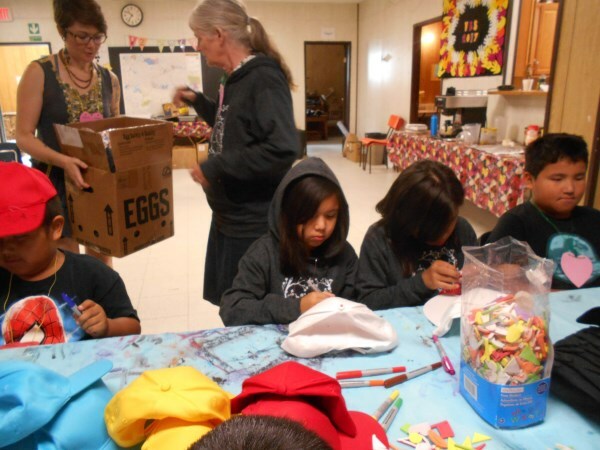 They are exploring the possibility of serving in both of these roles in a First Nations community where there is a need for Bible translation and language development work. 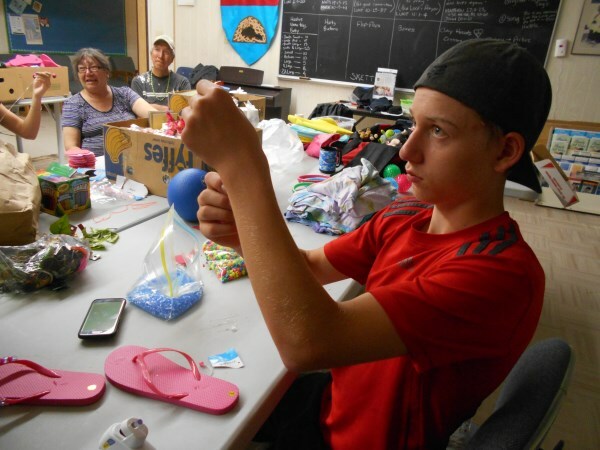 At the moment they are working through the details of how they might serve an internship in a remote, isolated, northern community, with Bethany working as a medical professional and Tom working on language development and Bible translation. 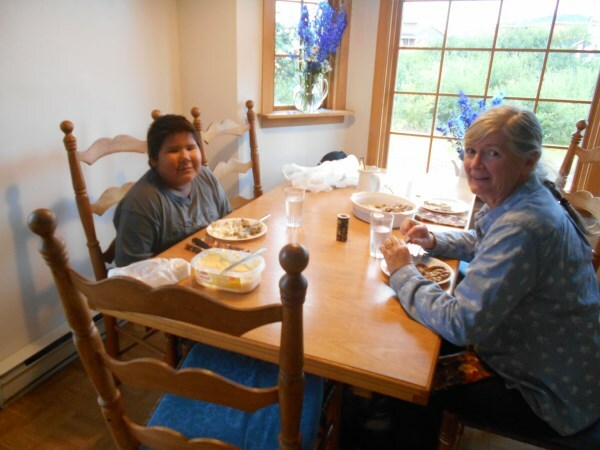 In our Next Generation post two years ago, we introduced Ben and his interest in being involved in what God is doing in bringing the Scriptures into the heart languages of First Nations people in Canada. He graduated from Princeton in the States, where he majored in Environmental Engineering and minored in Linguistics and Latin American Studies. 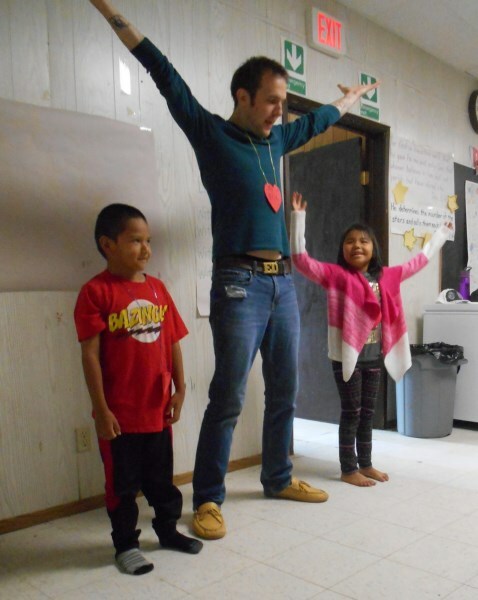 He was involved in both mission work in Latin America and wrote his thesis on Appropriate Technology and Peru. 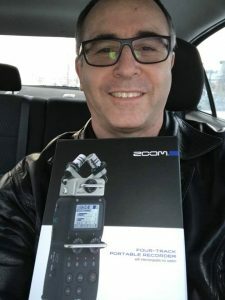 This spring he began working at the Canadian Bible Society offices in Toronto on Cree projects: he is helping with the contemporary translation into Plains Cree, and a new project to help provide an audio version of the 1862 Western Cree Scriptures that were first translated by Sophie and William Mason. 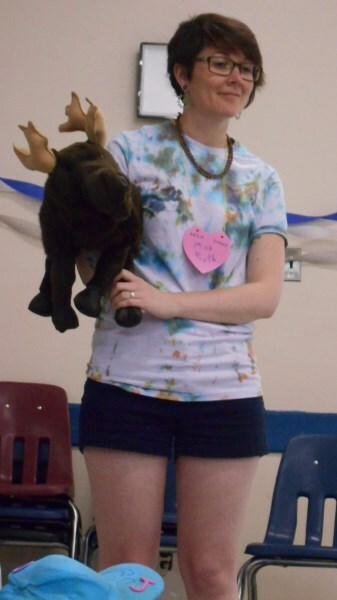 Meg isn’t exactly new to working in Cree language Bible translation: she served the Plains Cree translation project since around 2002, working mostly from Prince Albert, Sasksatchewan. She then took an assignment with the Mi’kmaq translation project at Sydney, Nova Scotia around 2008, where she has served as facilitator until this 2014, when she began her training to become a translation consultant. A year ago she also agreed to take a role as translation team leader as part of a larger team of our leaders who provide various types of support for translation teams working throughout North and Central America. 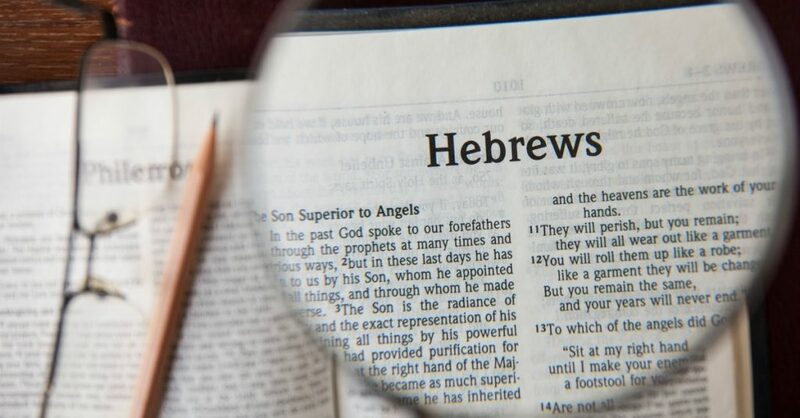 A translation consultant is someone who works with translation teams in a variety of languages to support translators in their work and help them to produce a translation which clearly and accurately communicates the meaning of Scripture in ways that sound natural in the language. 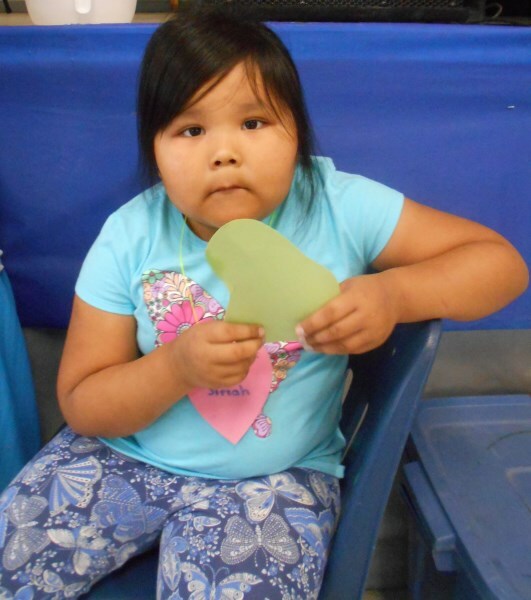 Meg just returned last week from her fourth consultant visit to the Oji-Cree project in Kingfisher Lake, Ontario. 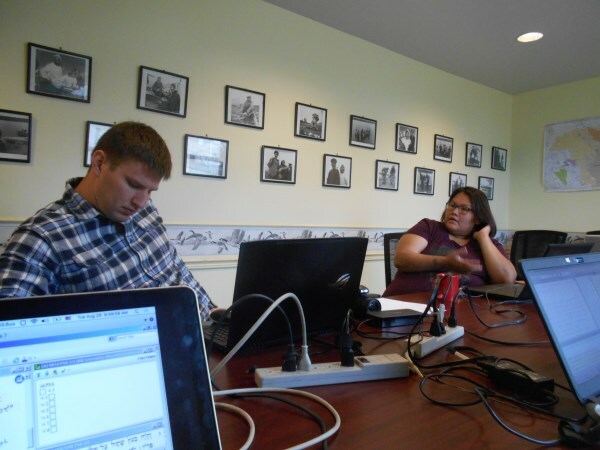 She is also working with the Bible Society on the consultant checking of the contemporary Plains Cree translation. 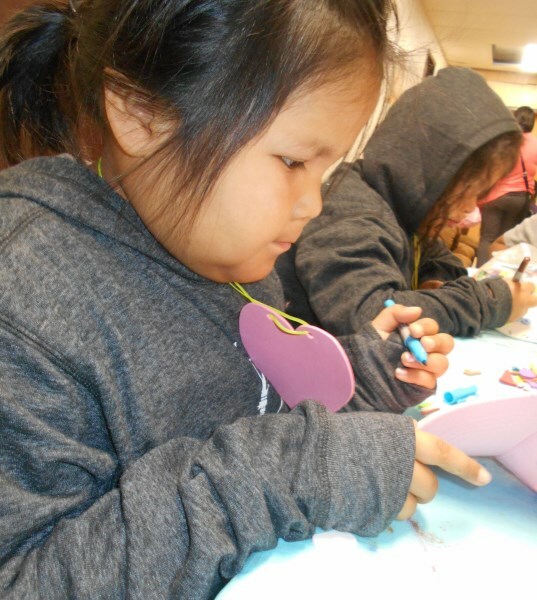 Amanda is a Naskapi speaker and Naskapi Mother Tongue Translator who began work on the Naskapi project as a language specialist in the spring of 2013. 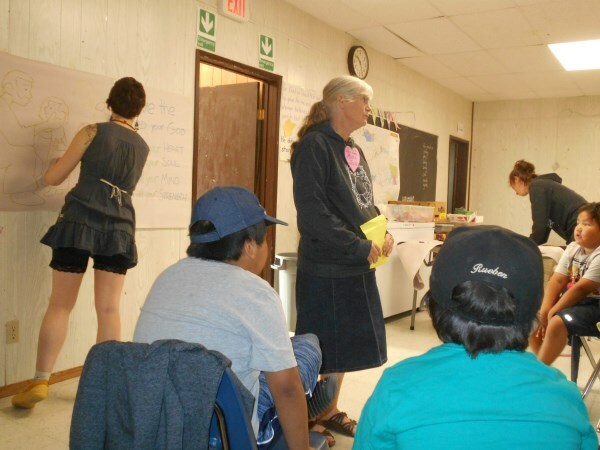 At that time she was a part of an initiative to recruit and train new young indigenous language workers in her community. 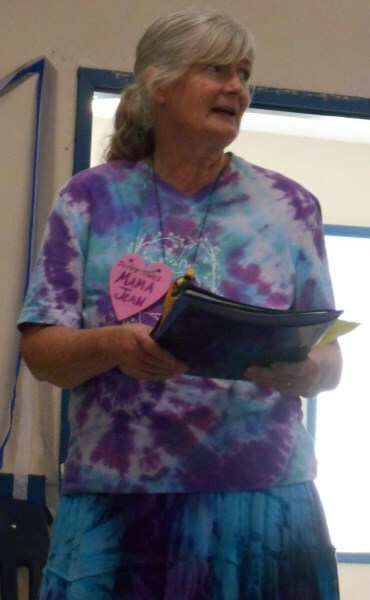 In the past five years she has grown in her abilities and confidence, and continues to develop in her skill and capacity as she serves her own community. 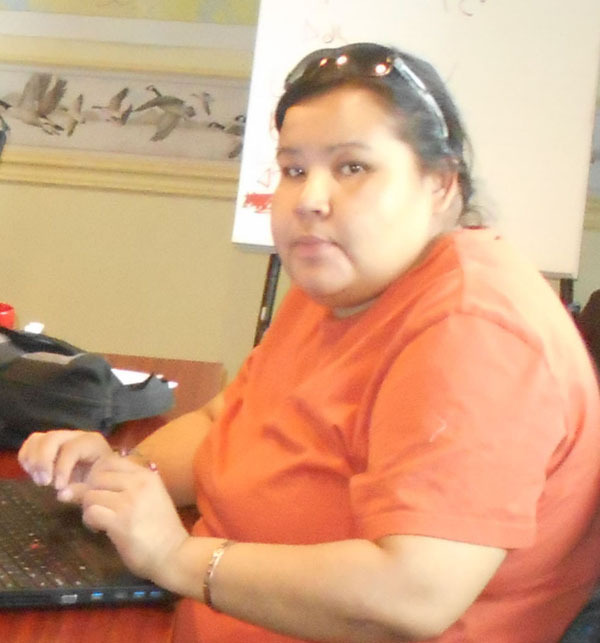 Ruby is the Naskapi project’s newest Naskapi Mother Tongue Translator, who was just hired this spring. She will be learning from senior translators like her father Silas Nabinicaboo and from her co-worker and peer-mentor Amanda Swappie. 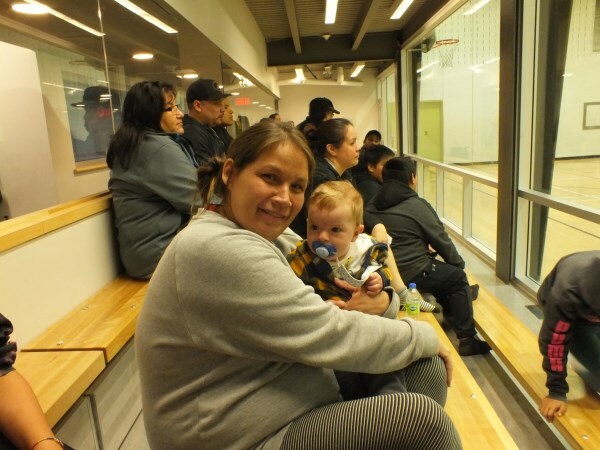 Amanda and Ruby are young mothers who also have the privilege and responsibility to pass on their traditional language to their own children at home, and are learning to model these habits to others in their community. 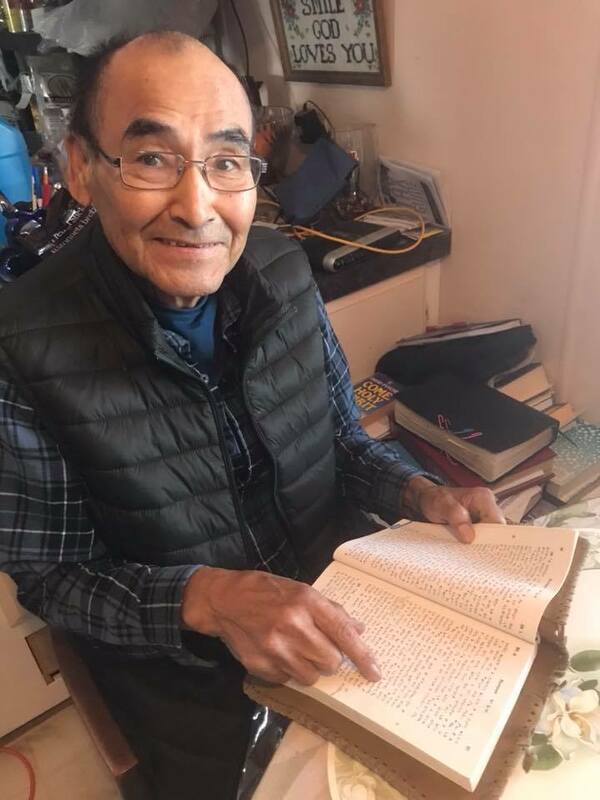 None of us is as important as all of us together–but it is The Next Generation that will carry the First Nations Bible translation movement forward beyond this generation. 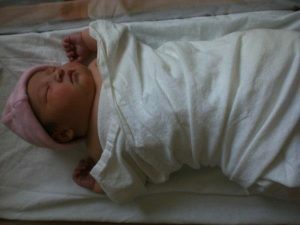 that God would grant Martin and Alice the wisdom and resources they need to be new parents of baby Grace. 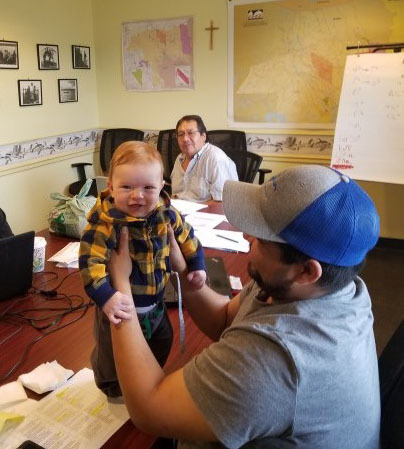 Thank you for your prayers for The Next Generation and for us as we guide, mentor and support these precious people that God is raising up for First Nations Bible Translation.